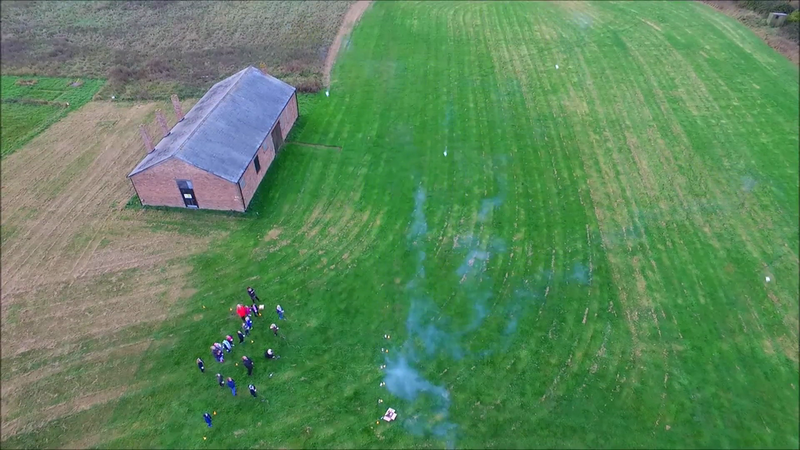 Thanks to Dennis the Drone for this footage. 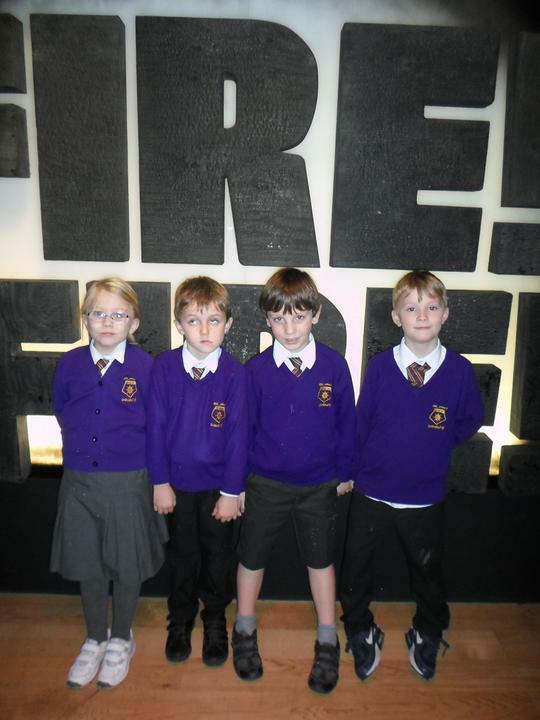 Stow Maries Airfield Trip 7th November. 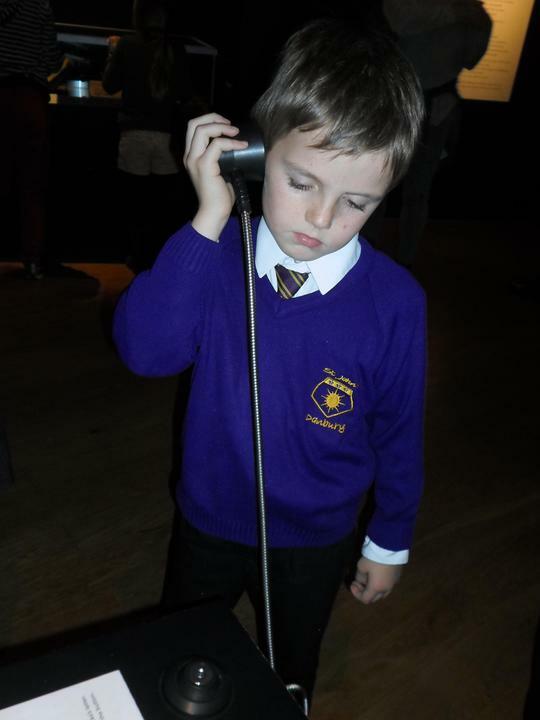 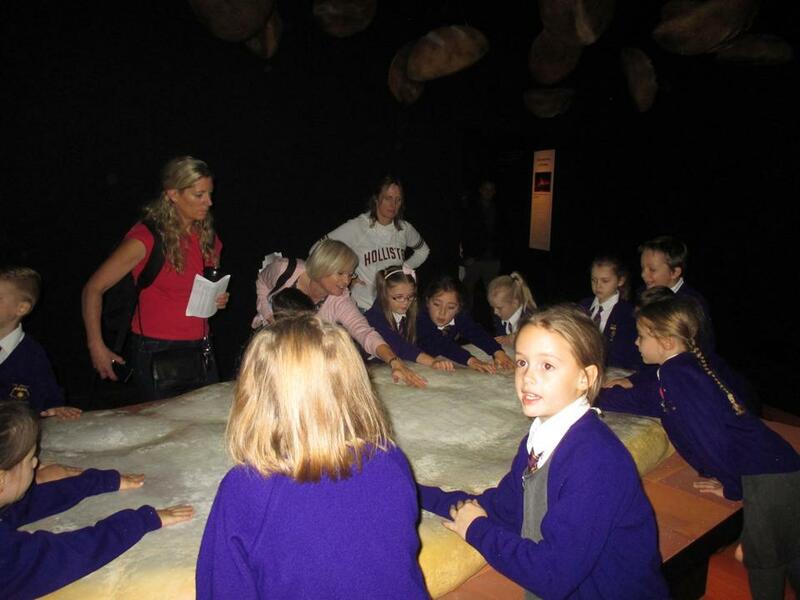 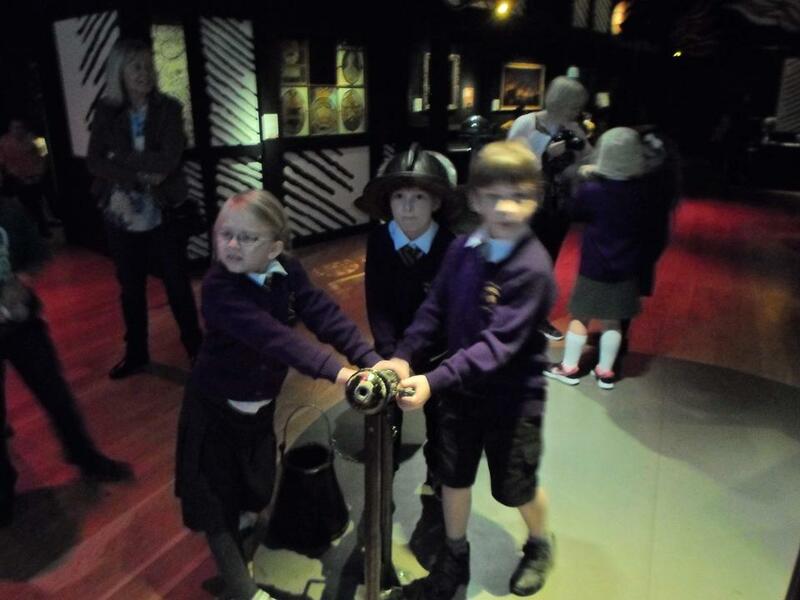 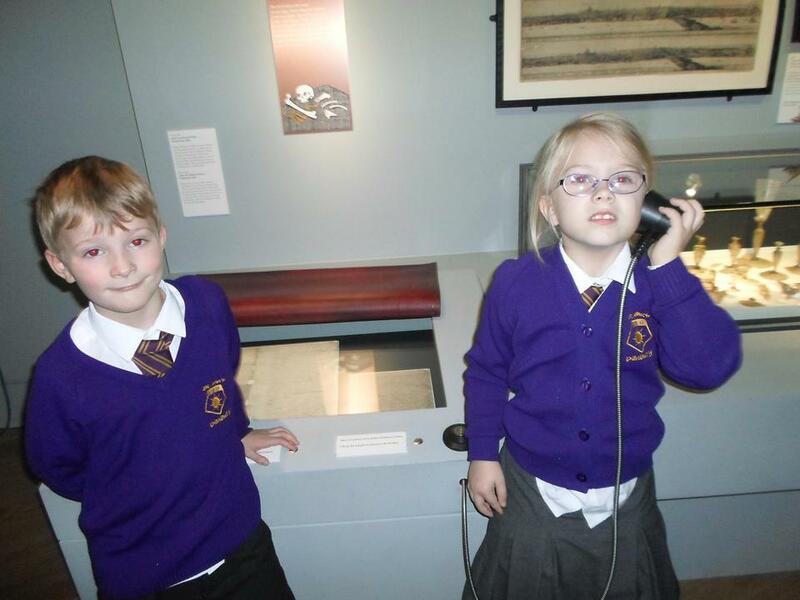 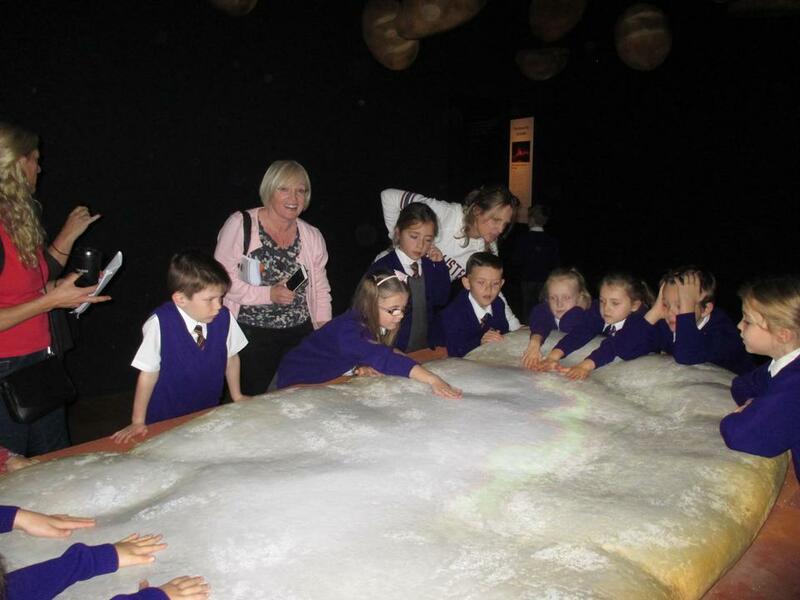 We learnt all about the science and history of flight. 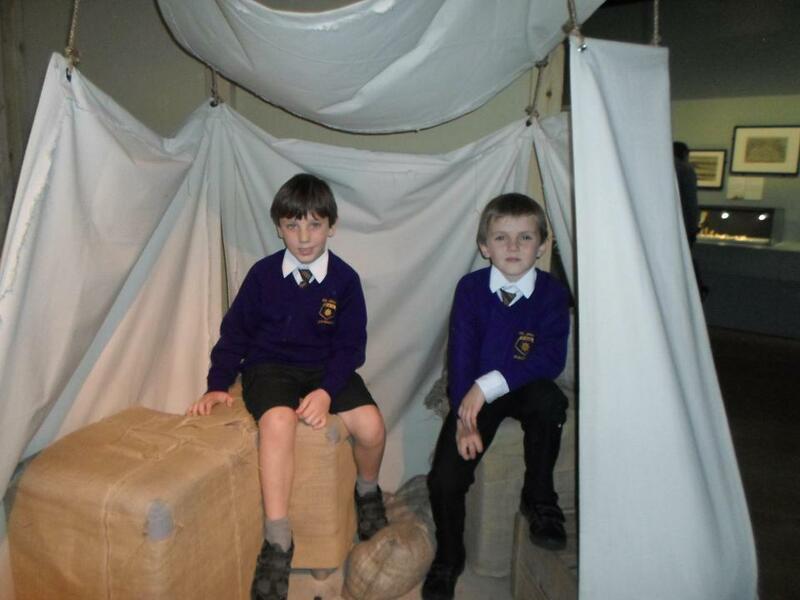 Danbury Trip - we had a brilliant time geocaching, tree climbing and den building on the 25th May. 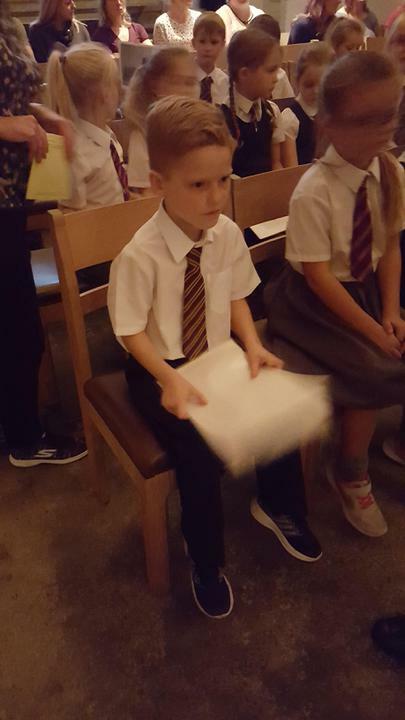 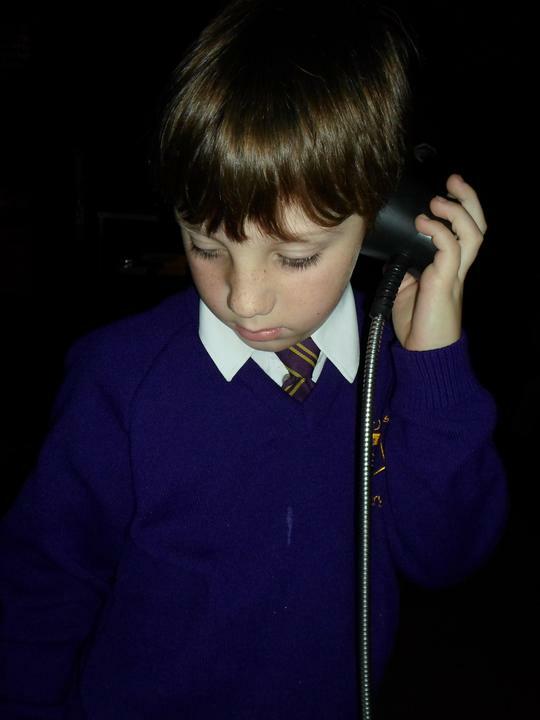 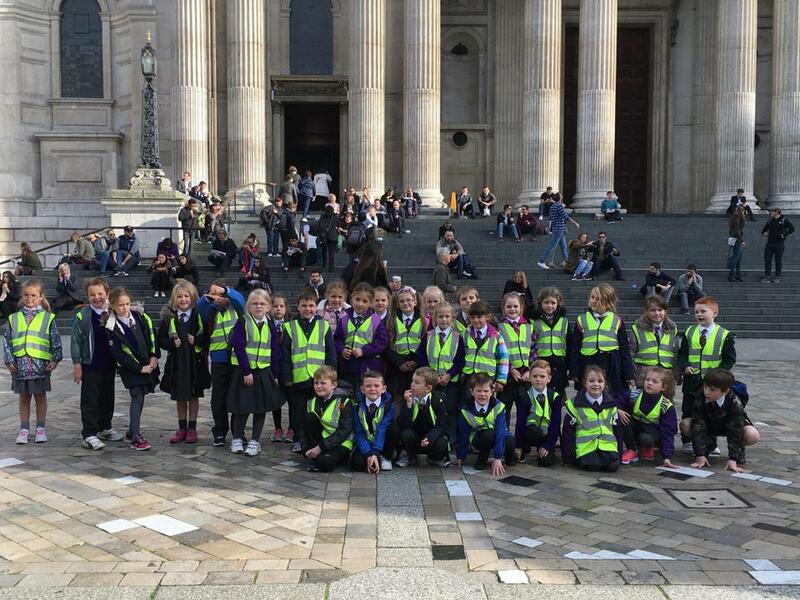 Welcome to Year 2 class page. 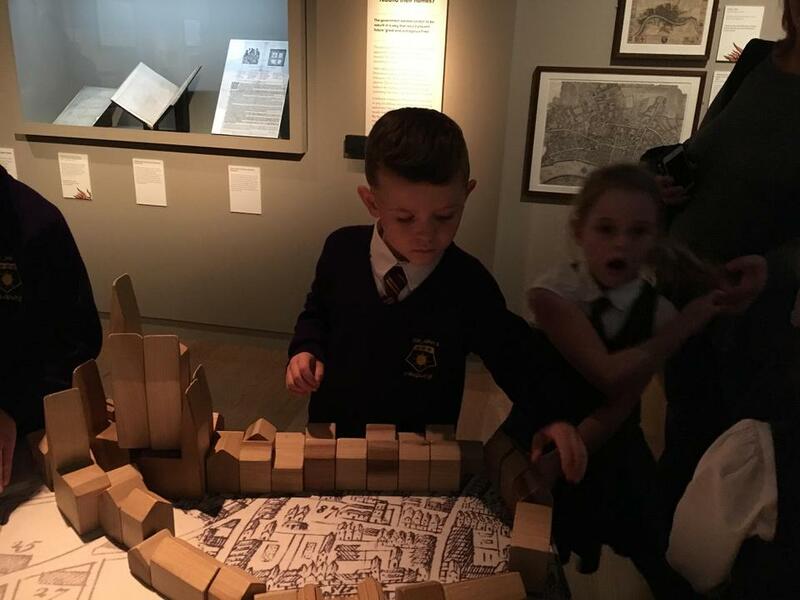 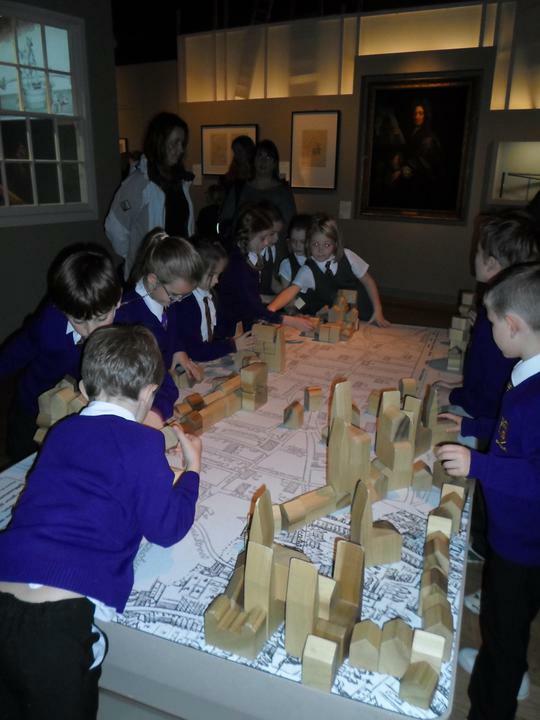 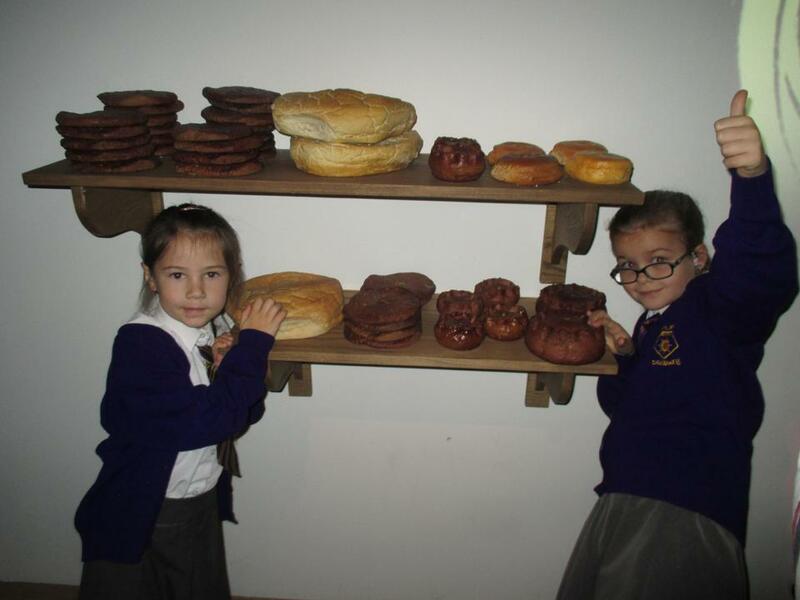 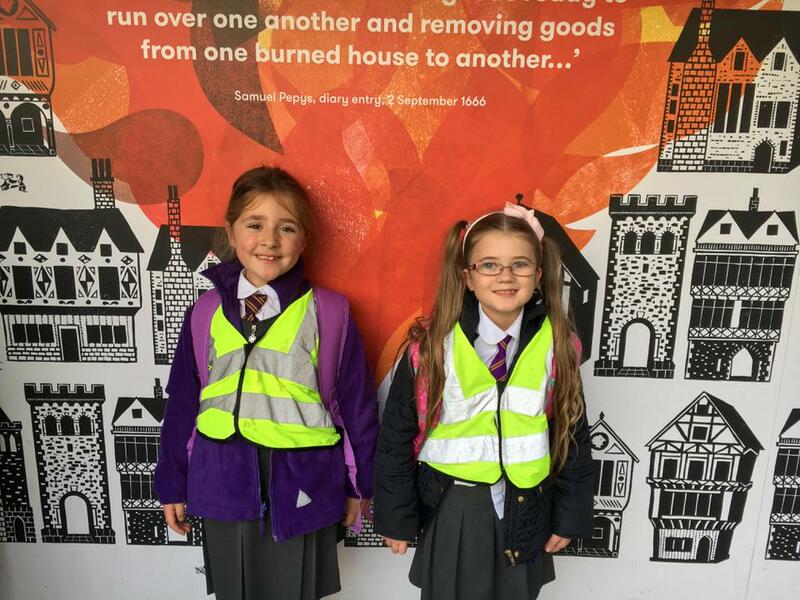 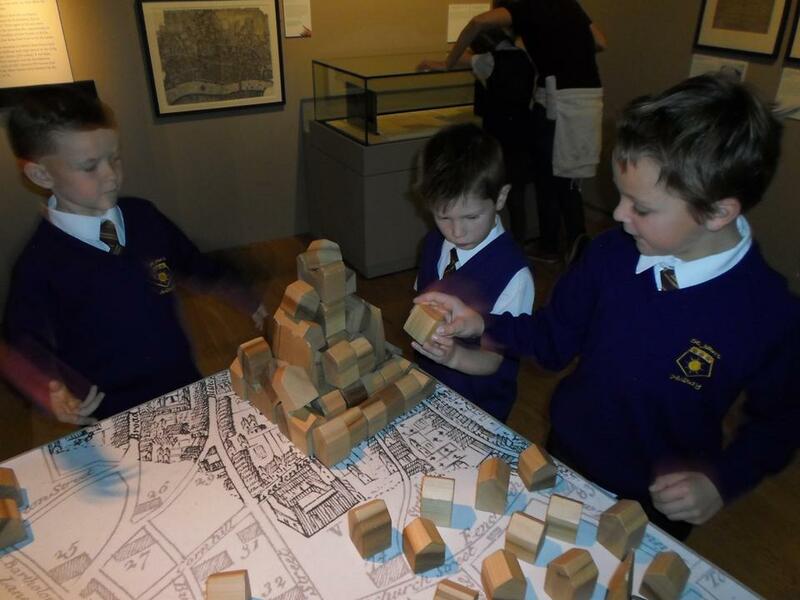 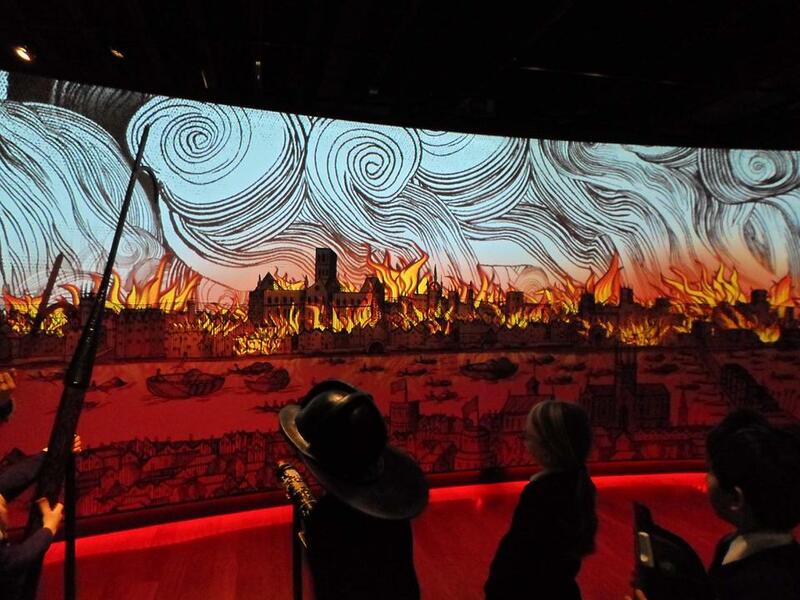 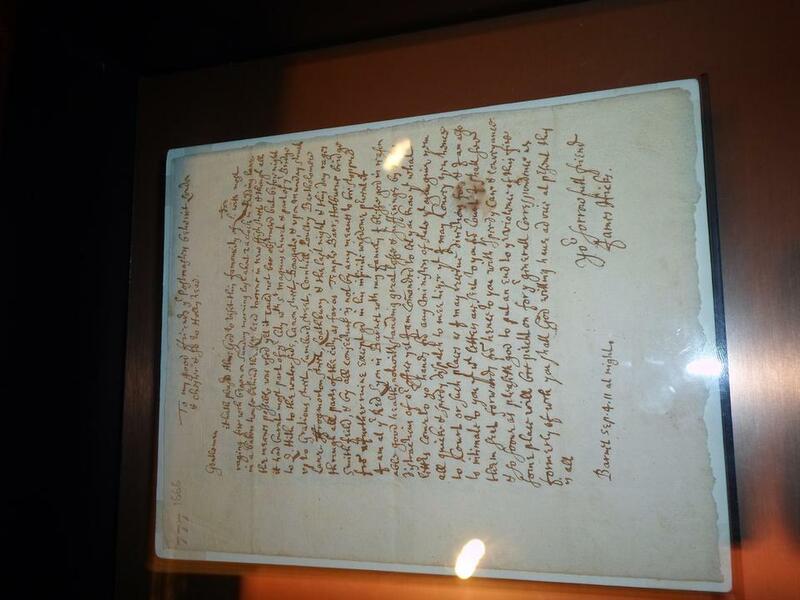 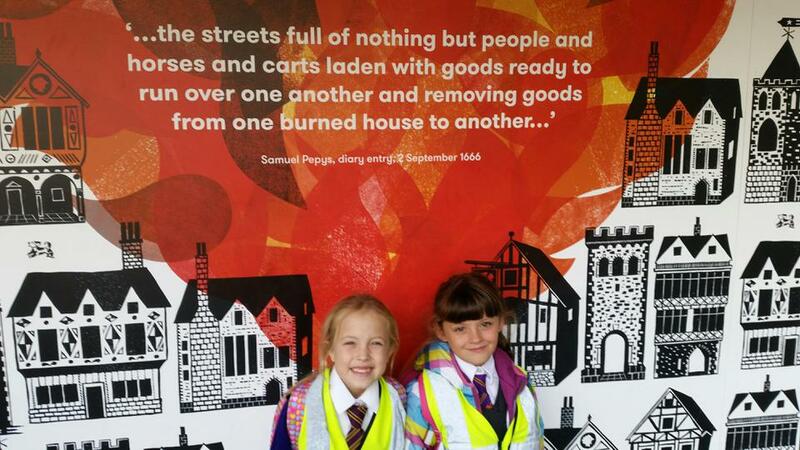 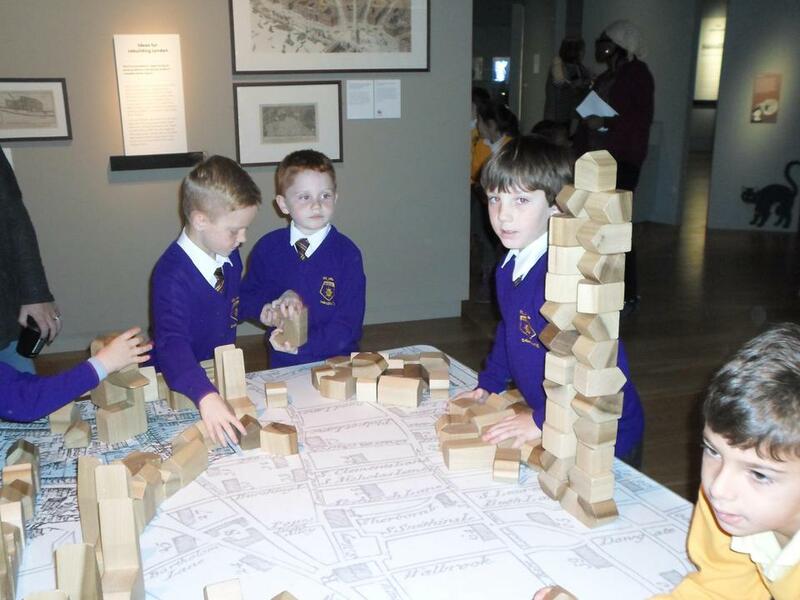 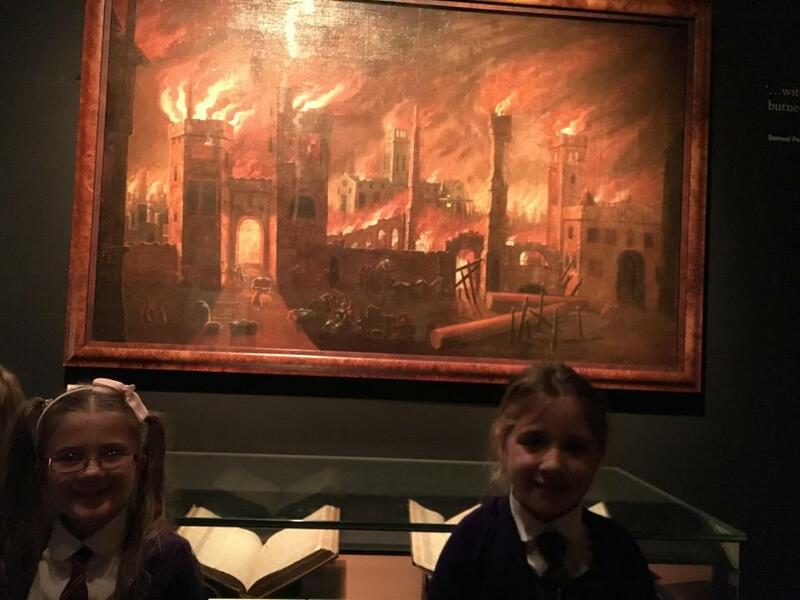 This term we have been studying The Great Fire of London for our history topic. 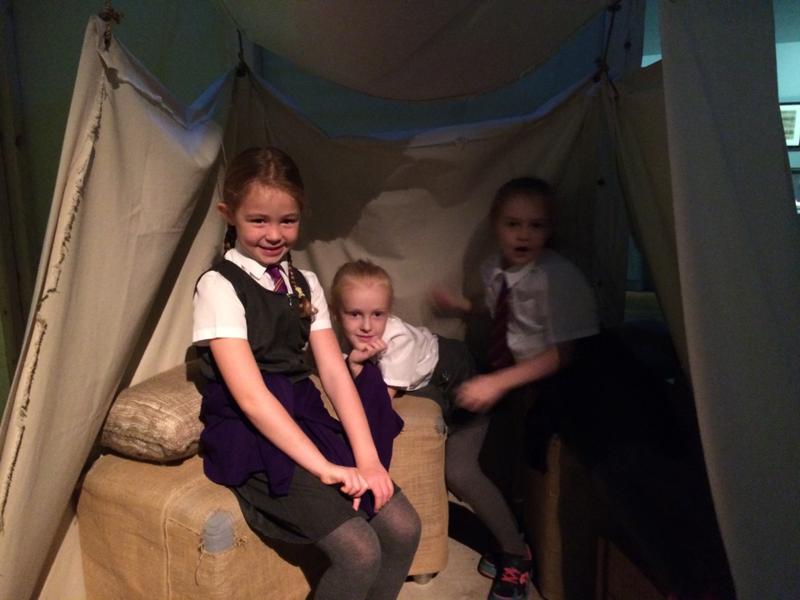 Nativity - For photographs please see gallery. 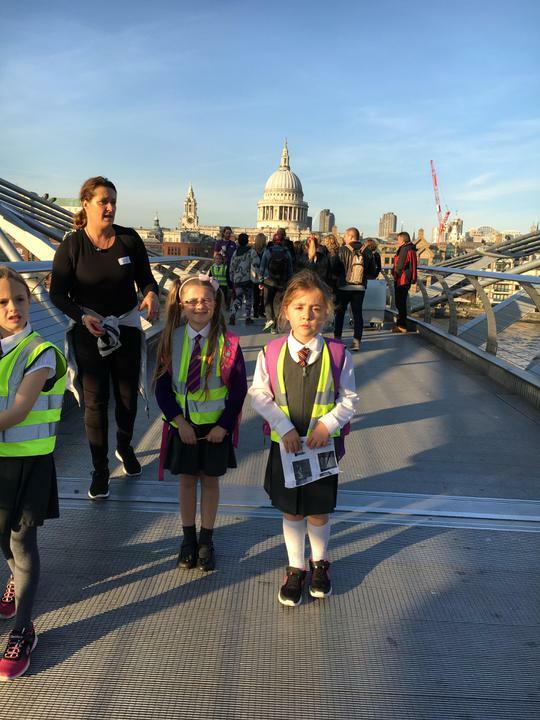 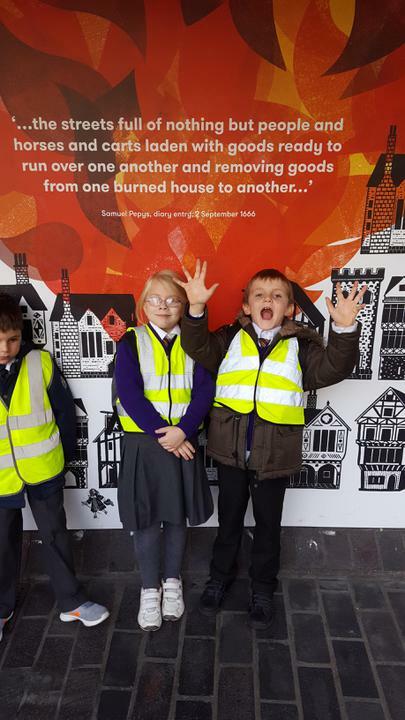 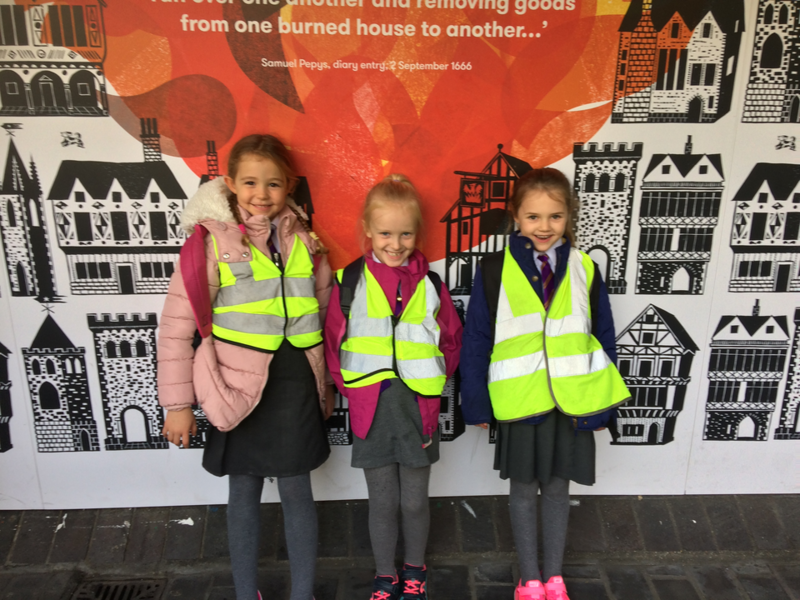 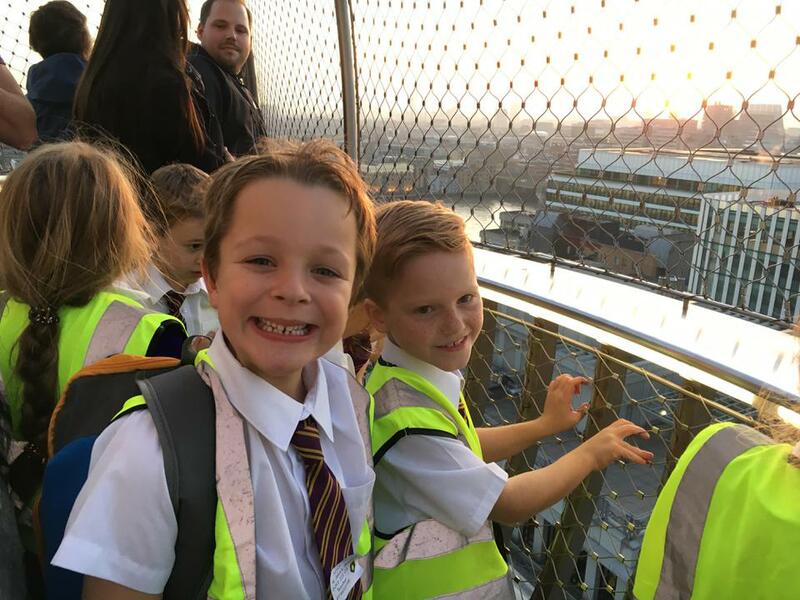 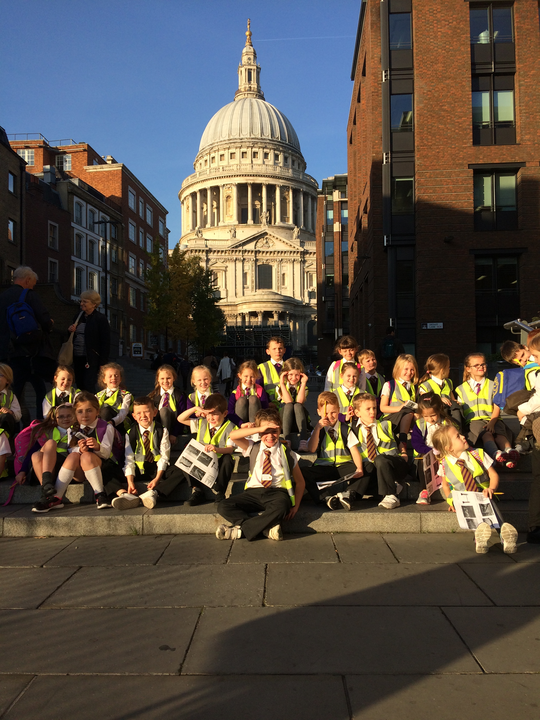 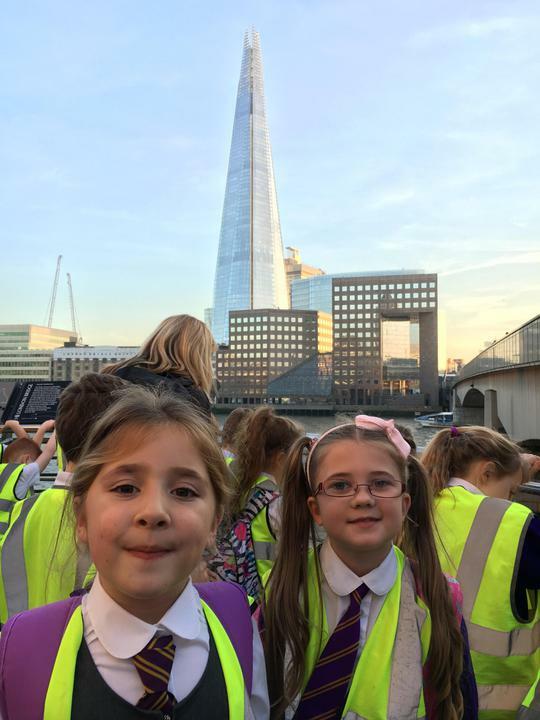 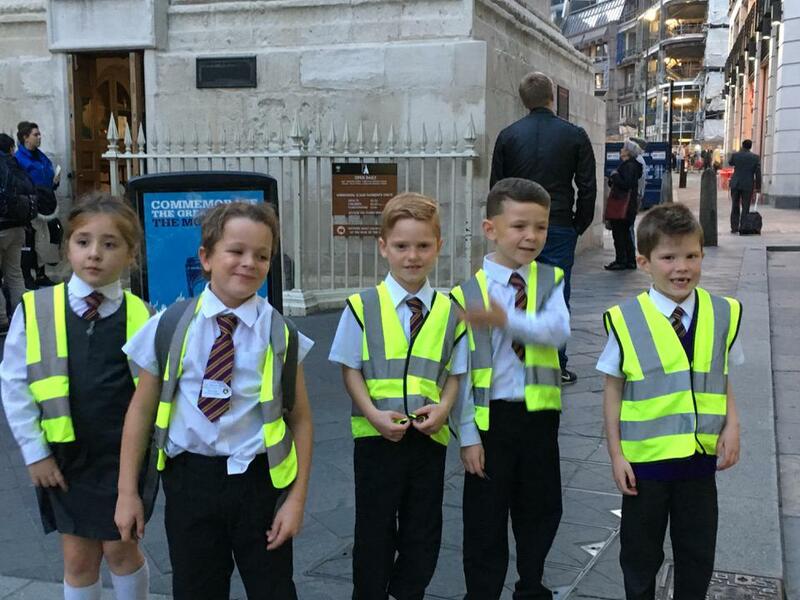 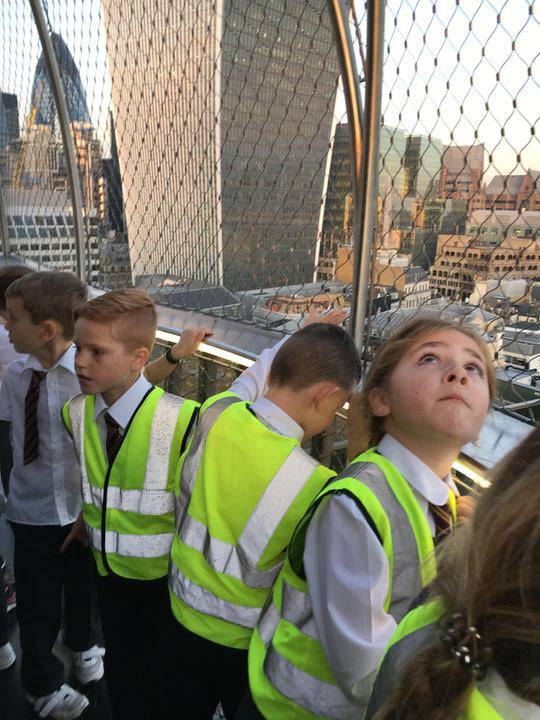 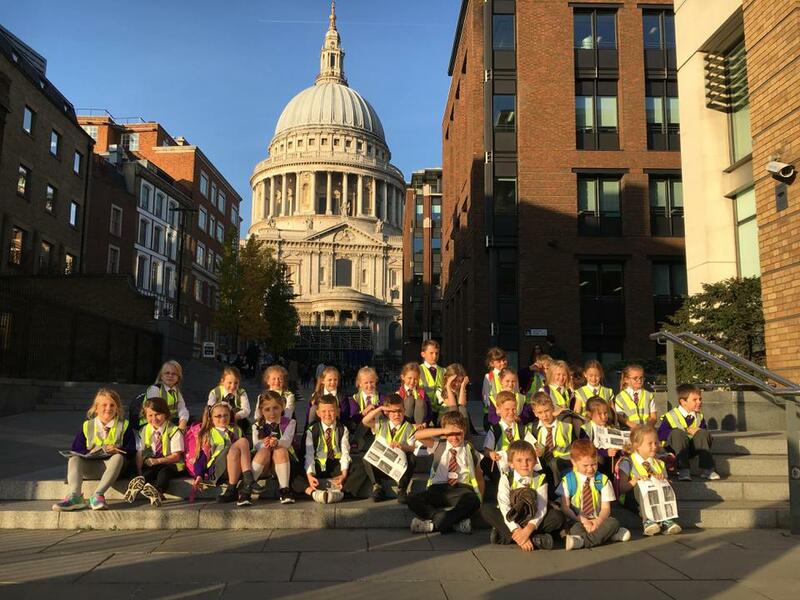 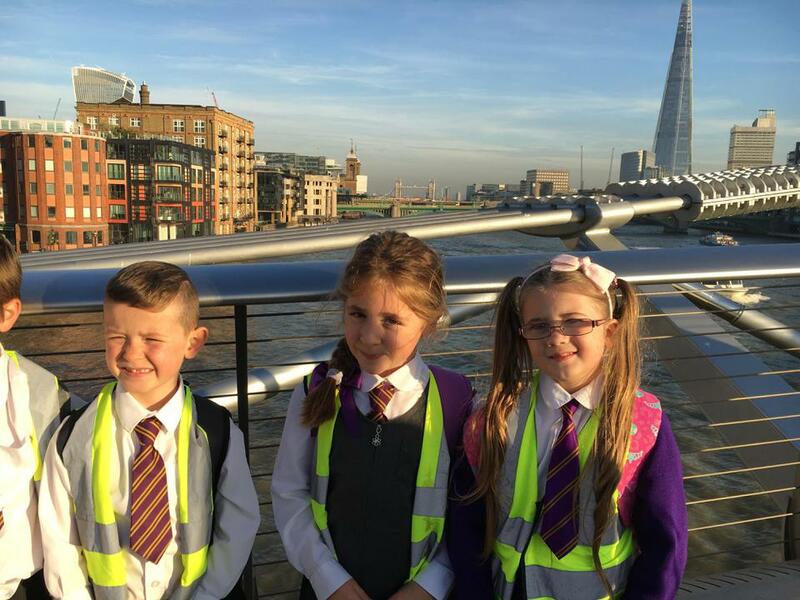 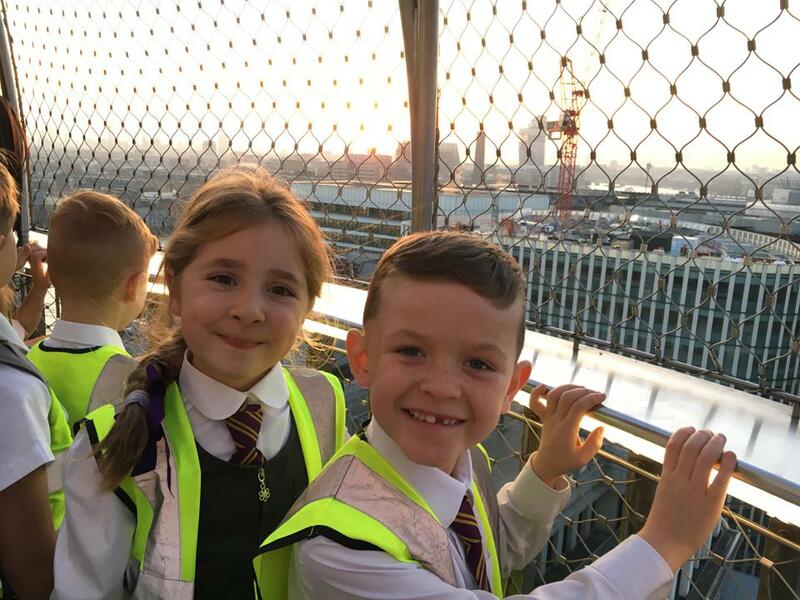 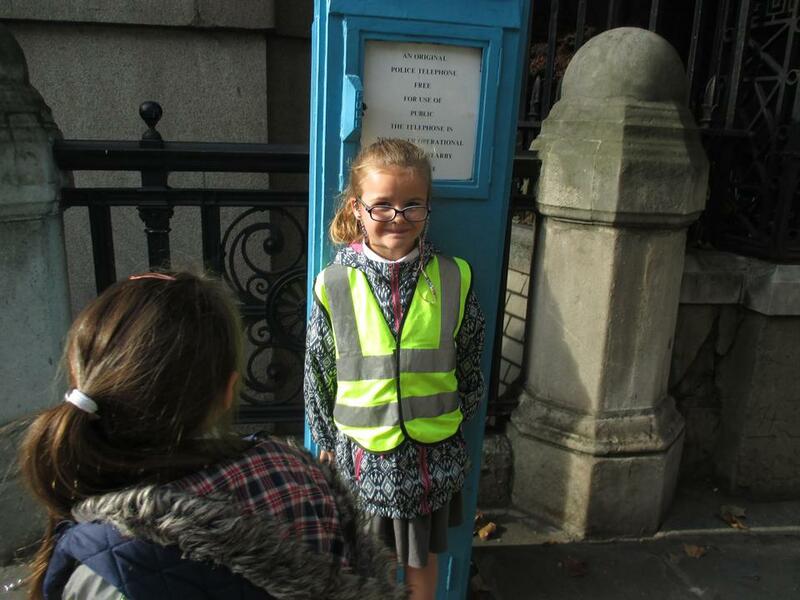 The Great Fire of London - We had a brilliant day in London on 31st October 2016. 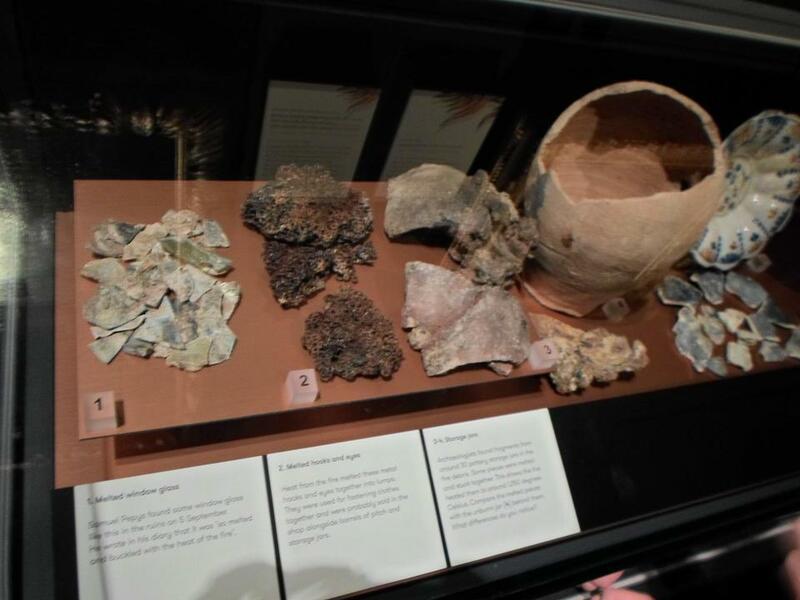 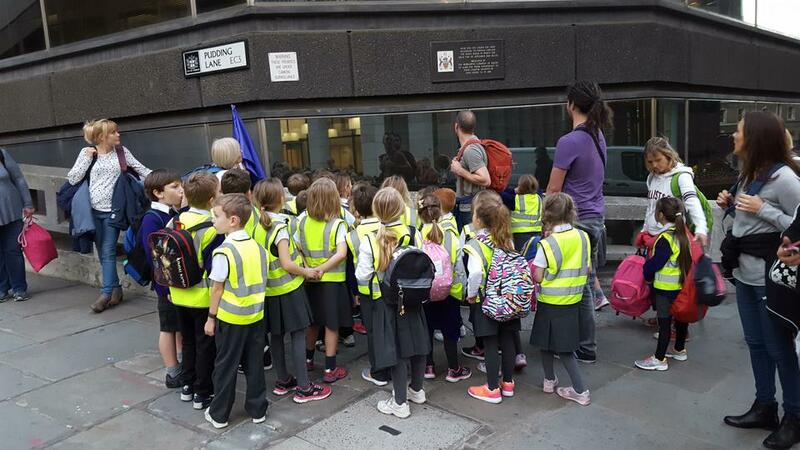 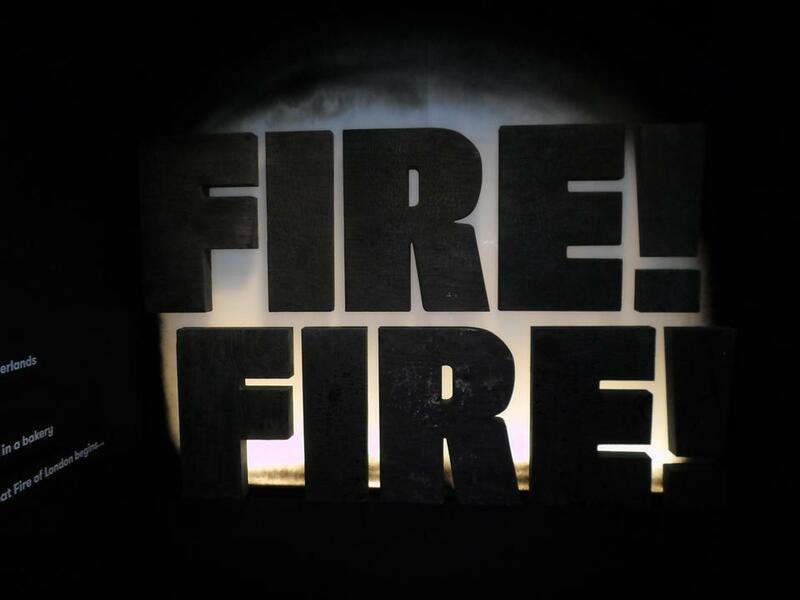 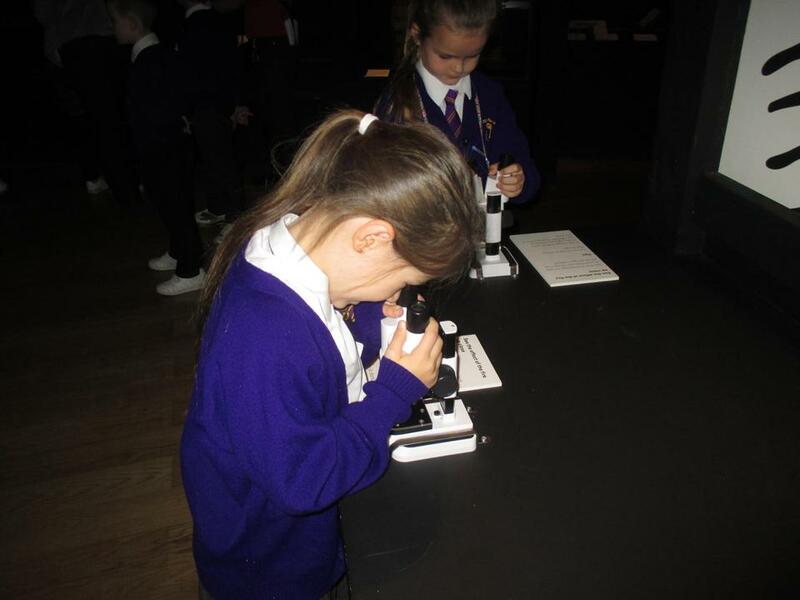 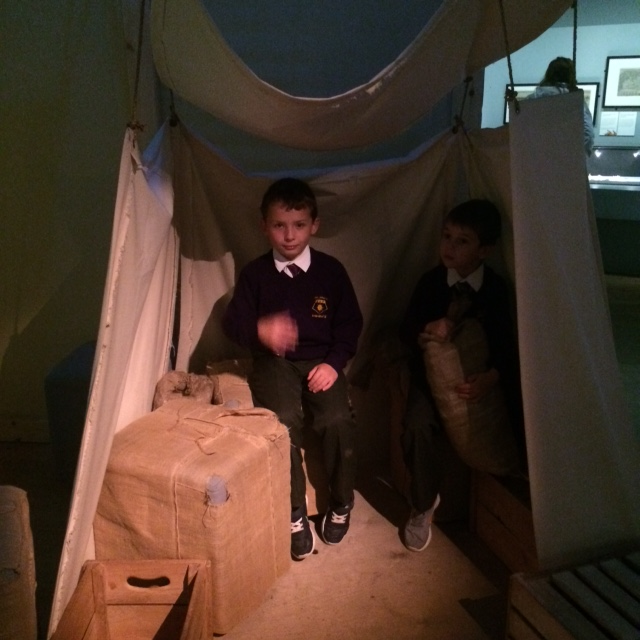 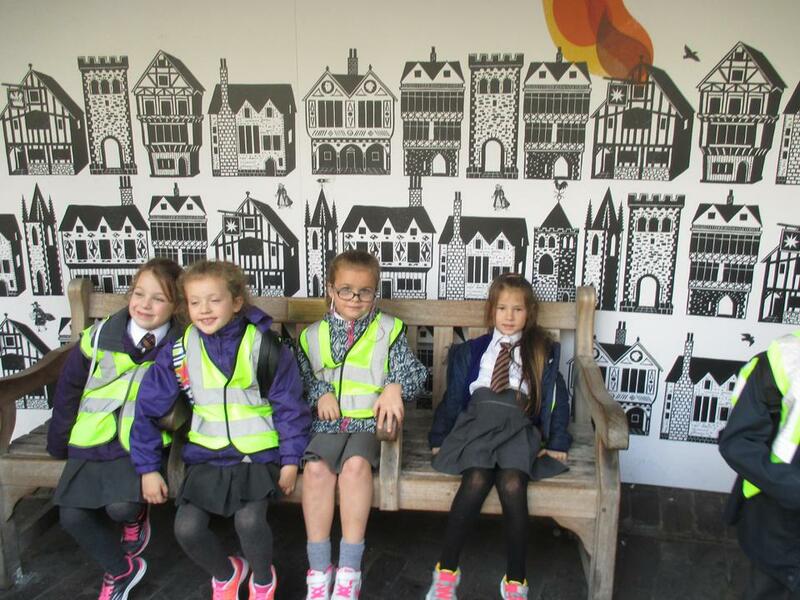 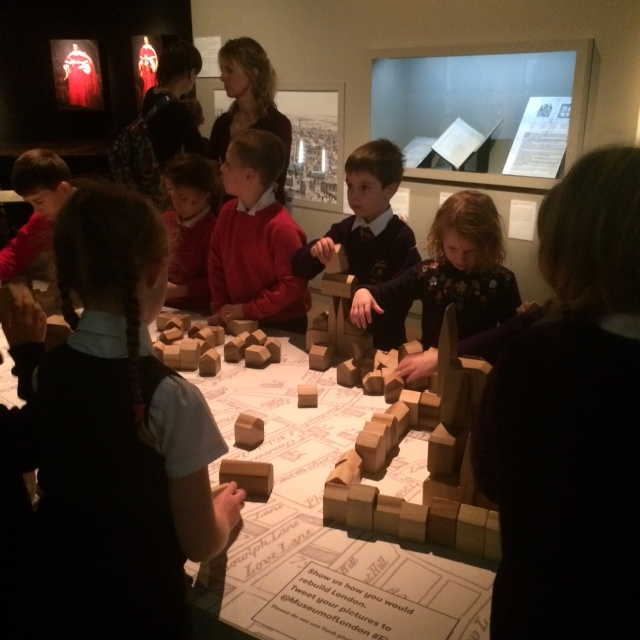 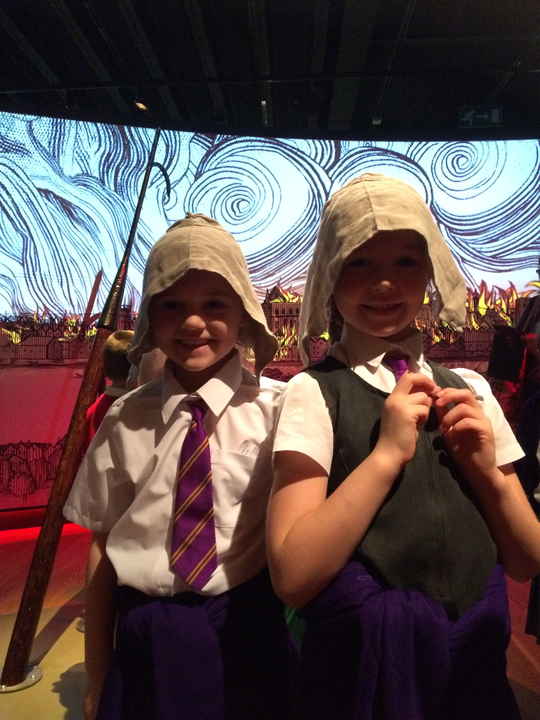 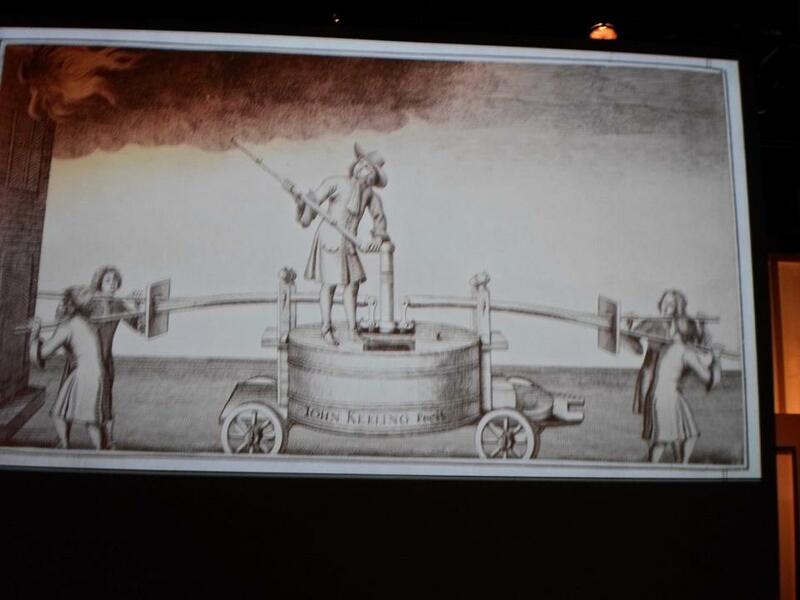 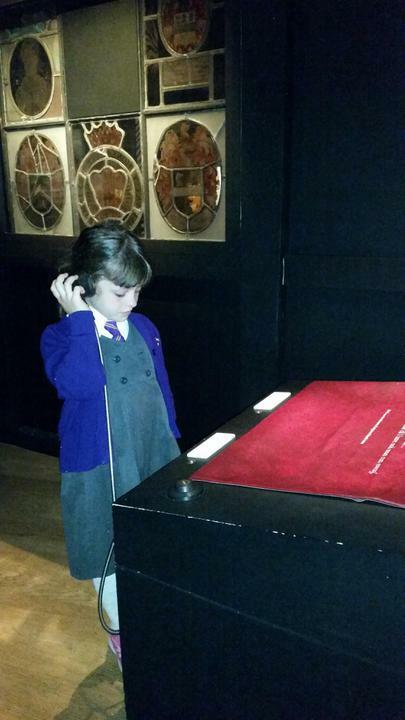 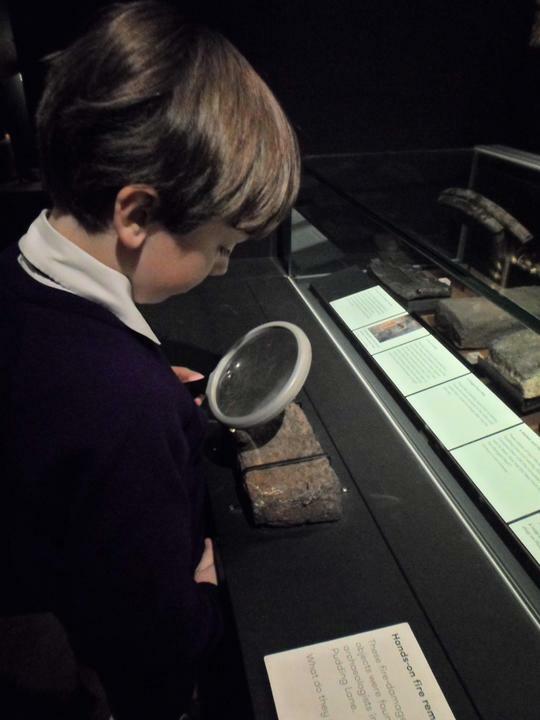 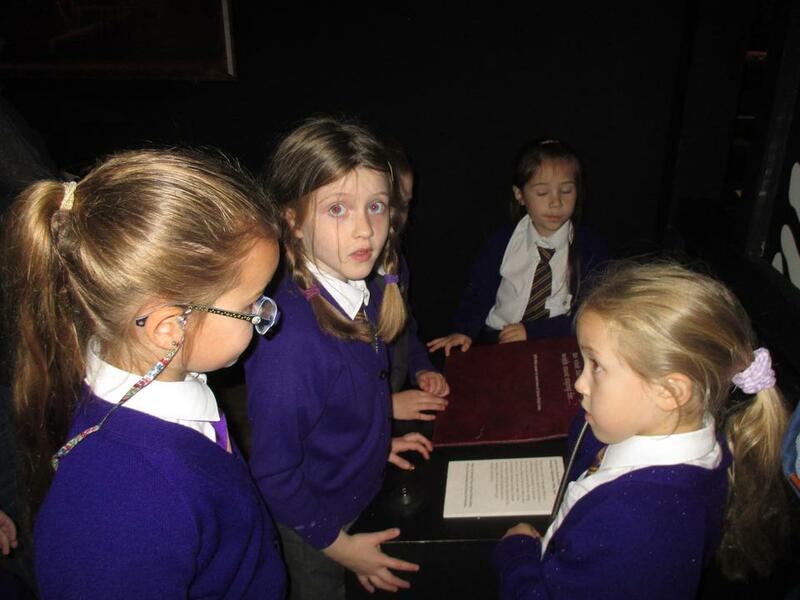 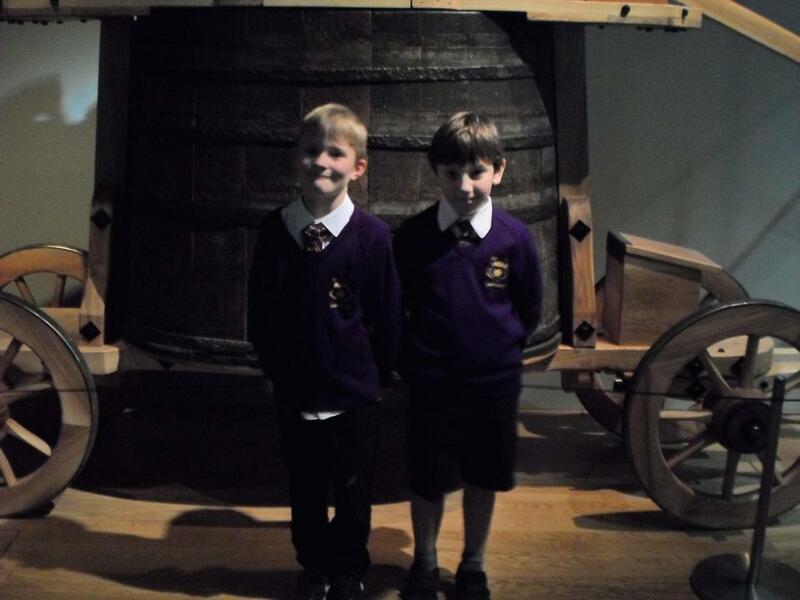 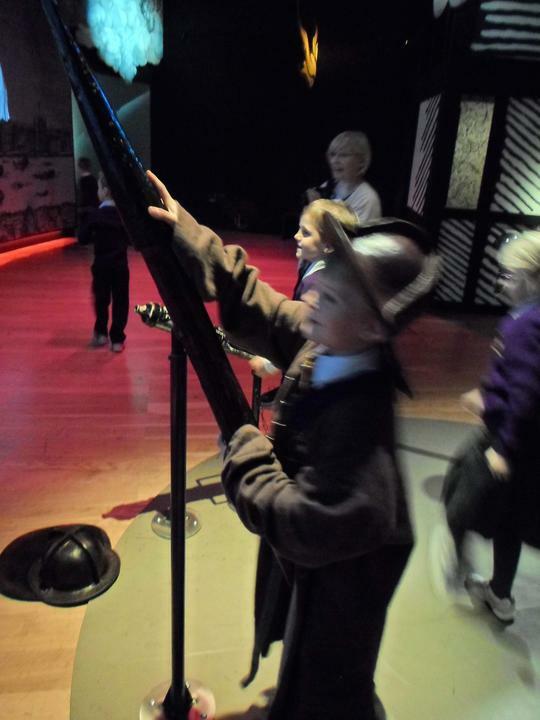 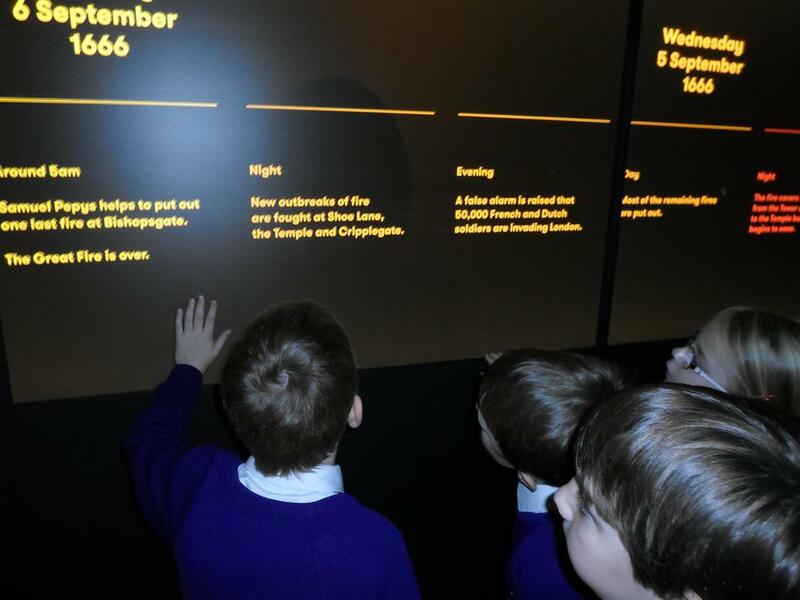 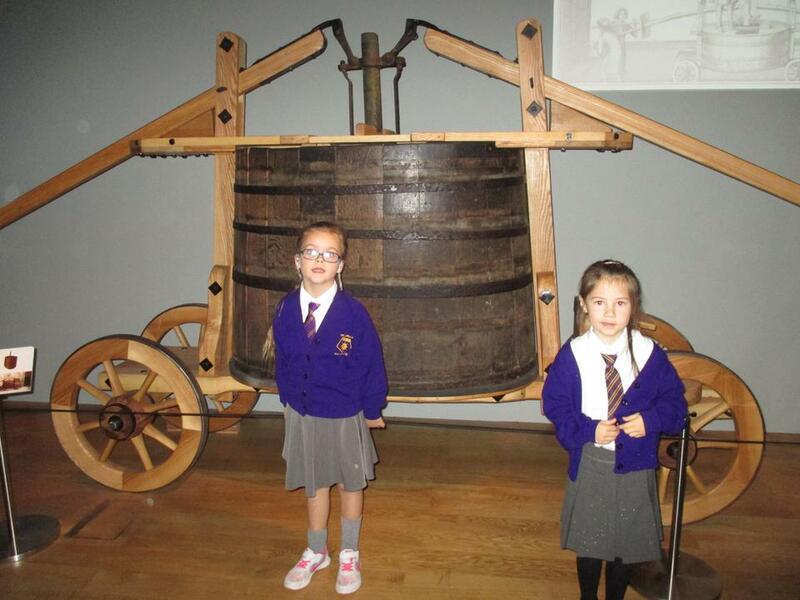 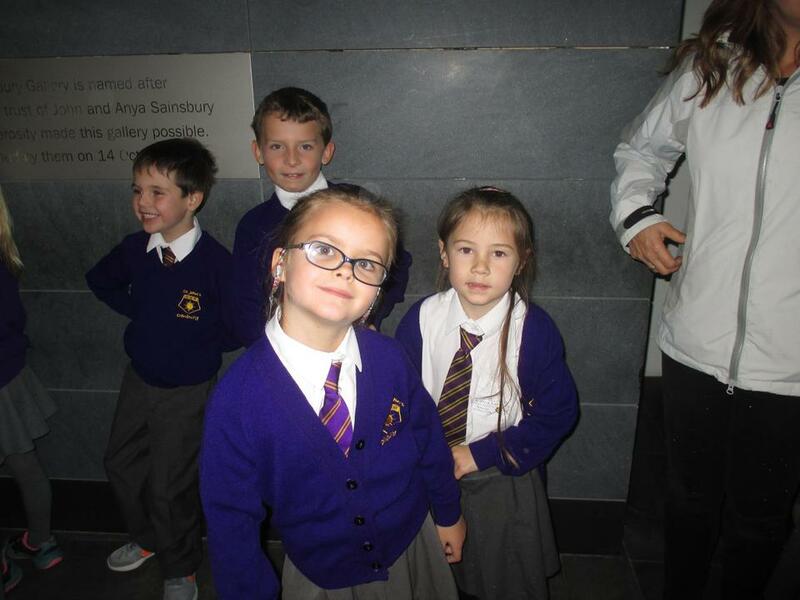 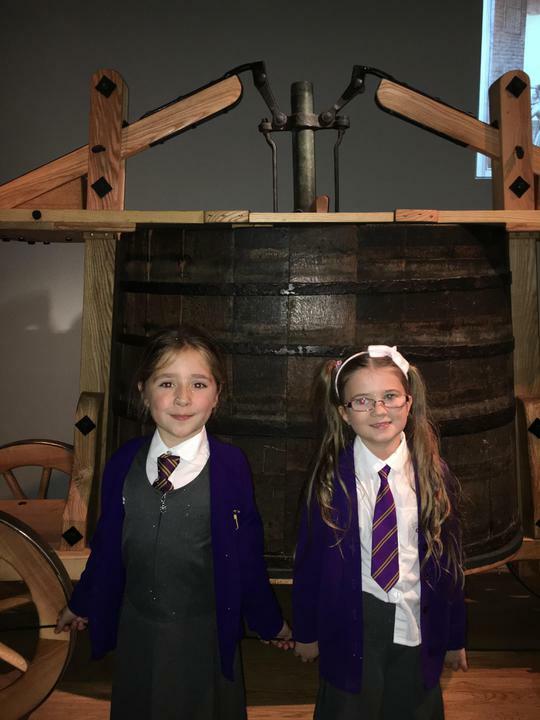 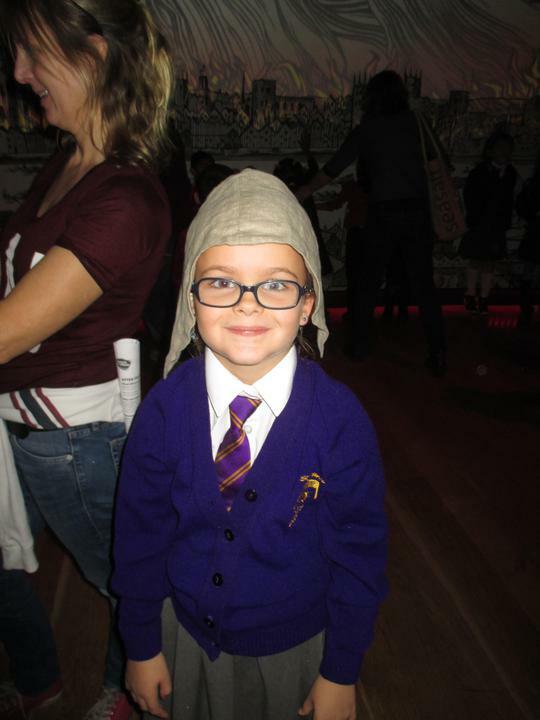 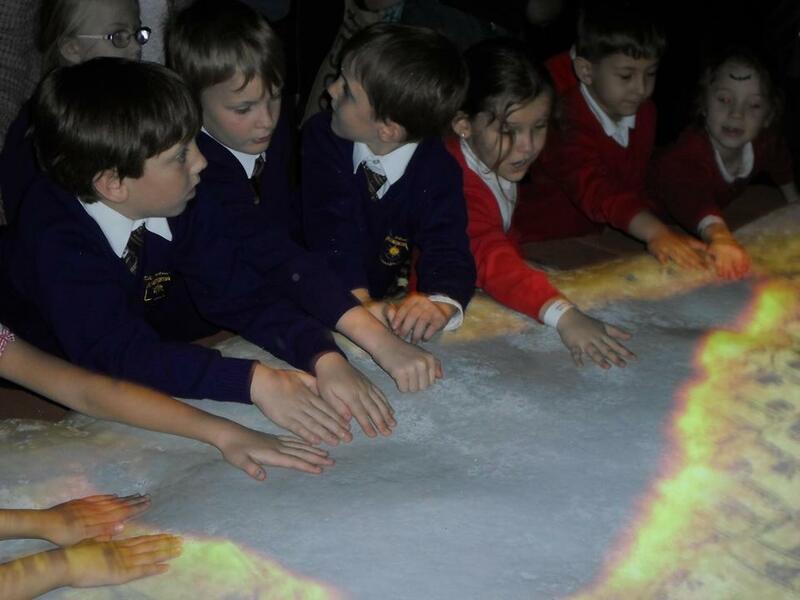 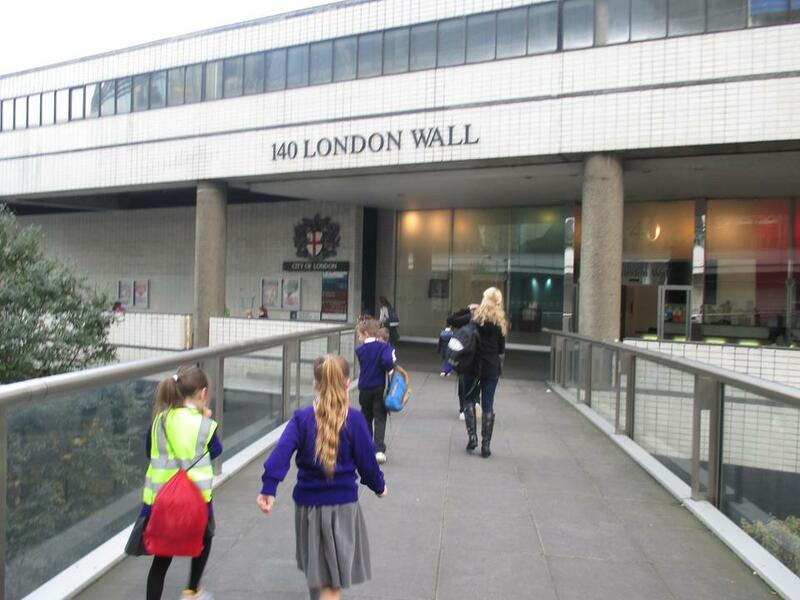 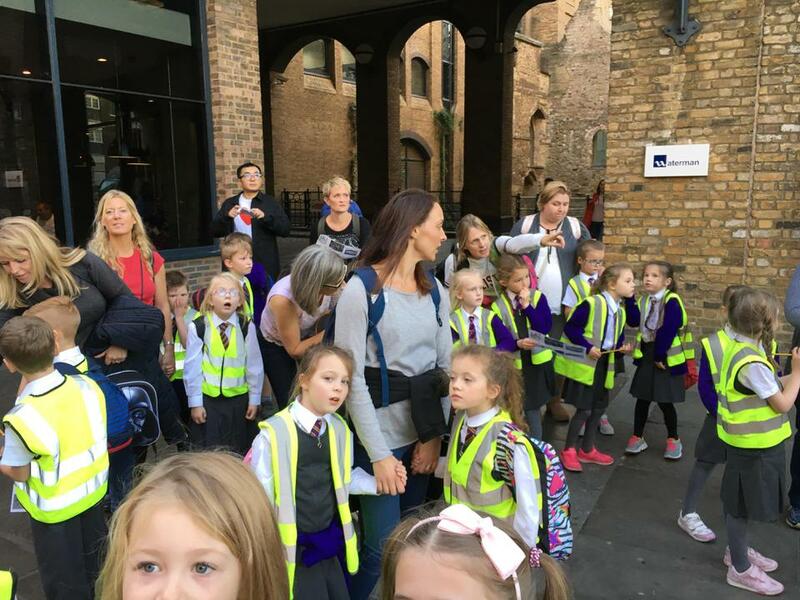 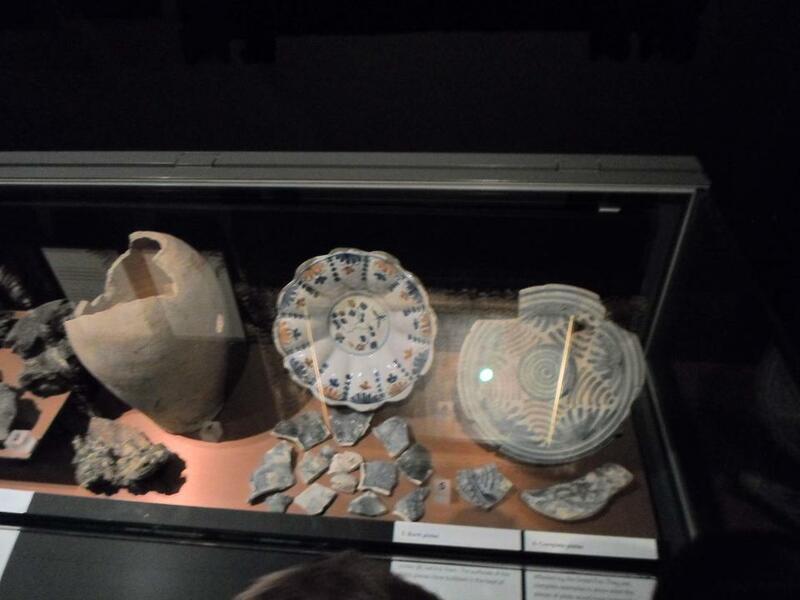 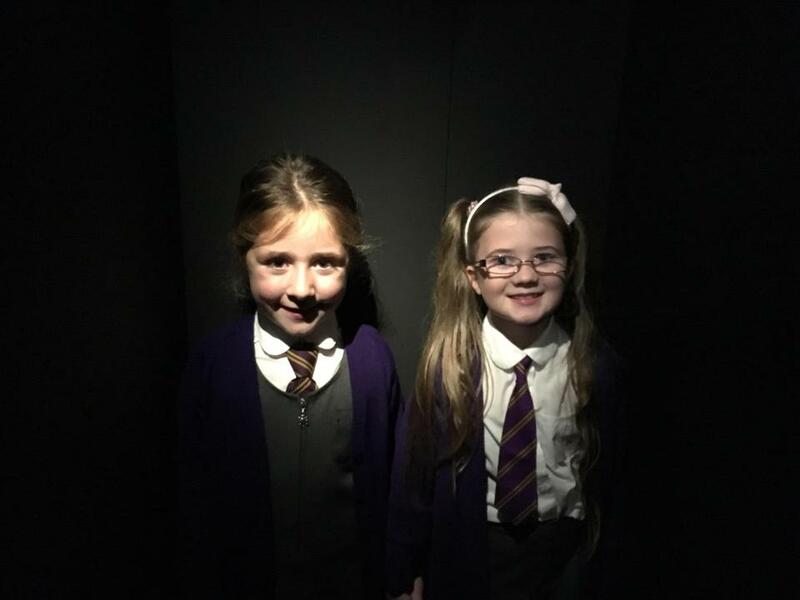 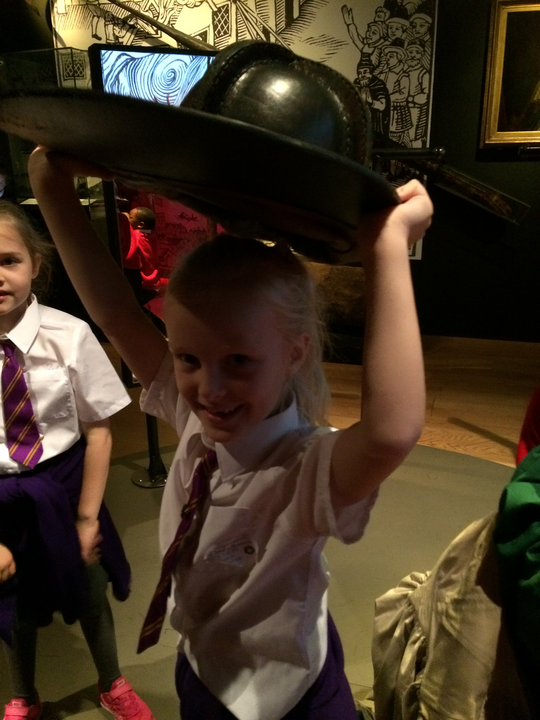 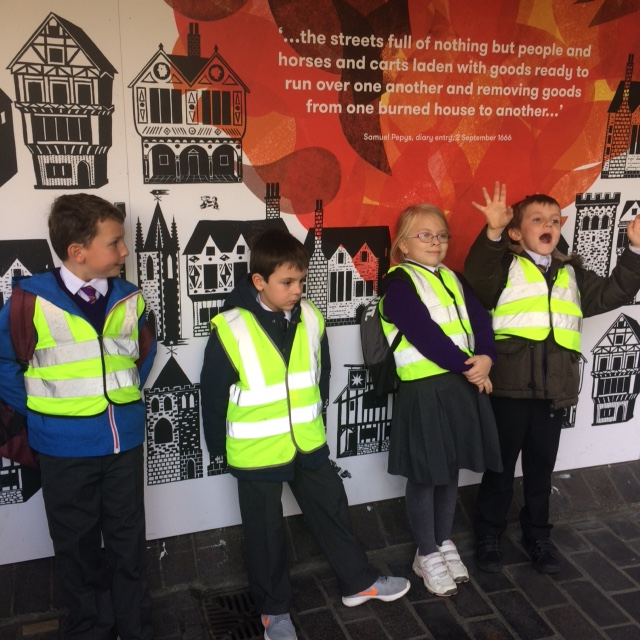 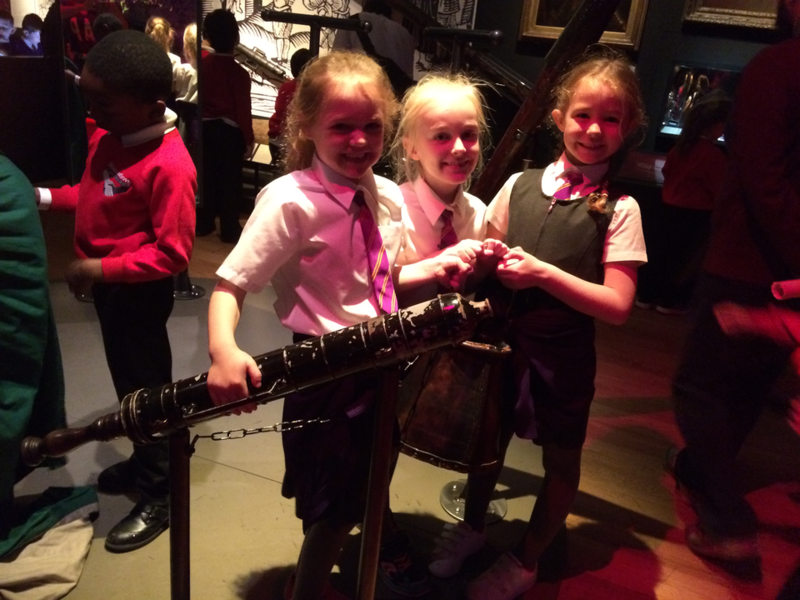 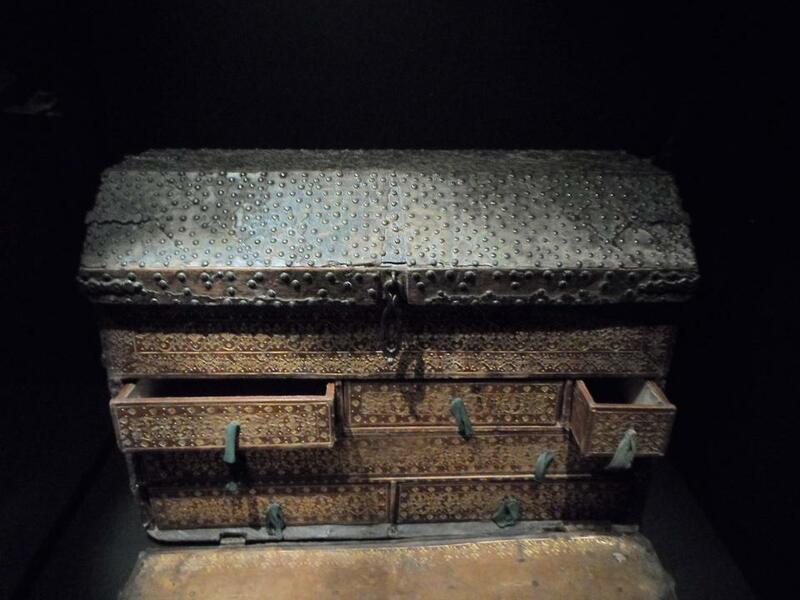 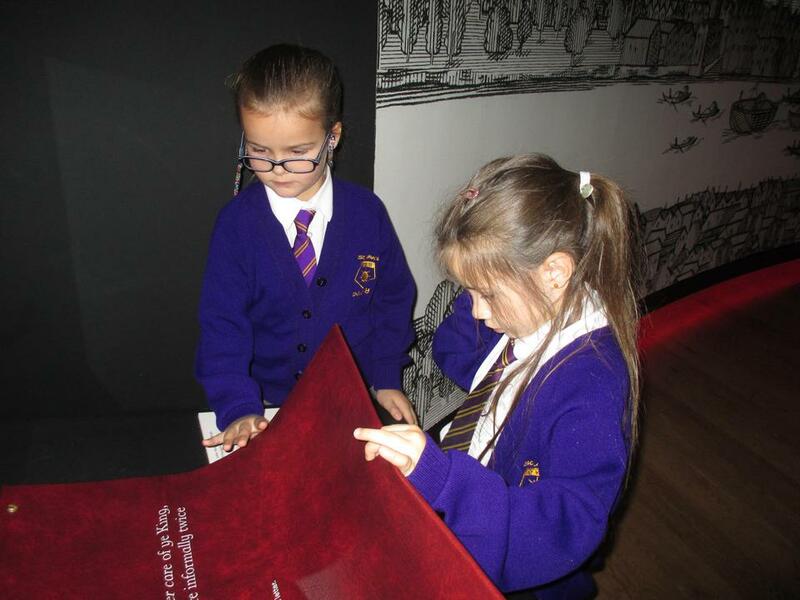 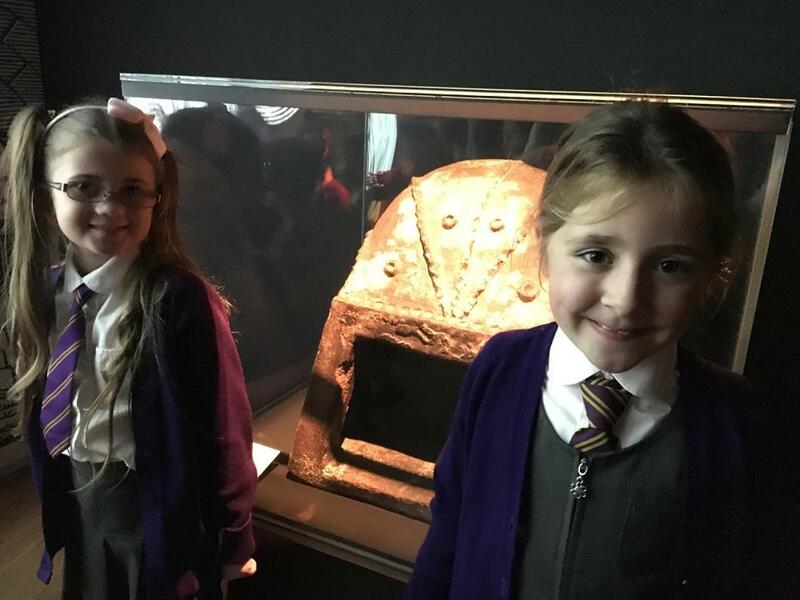 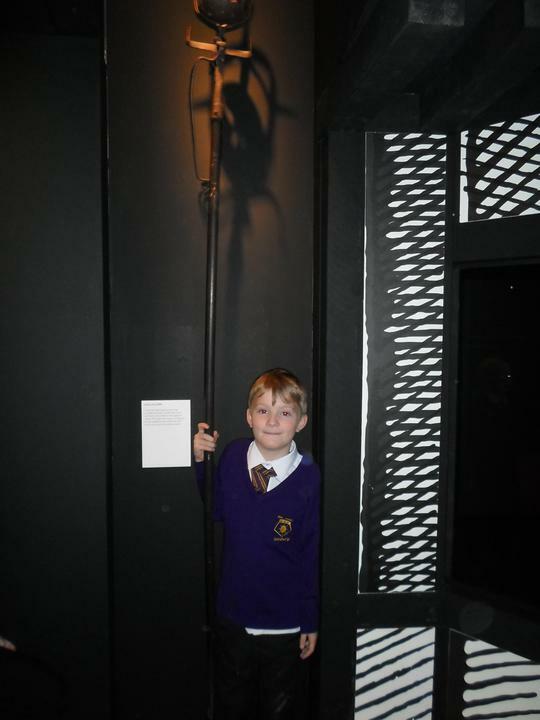 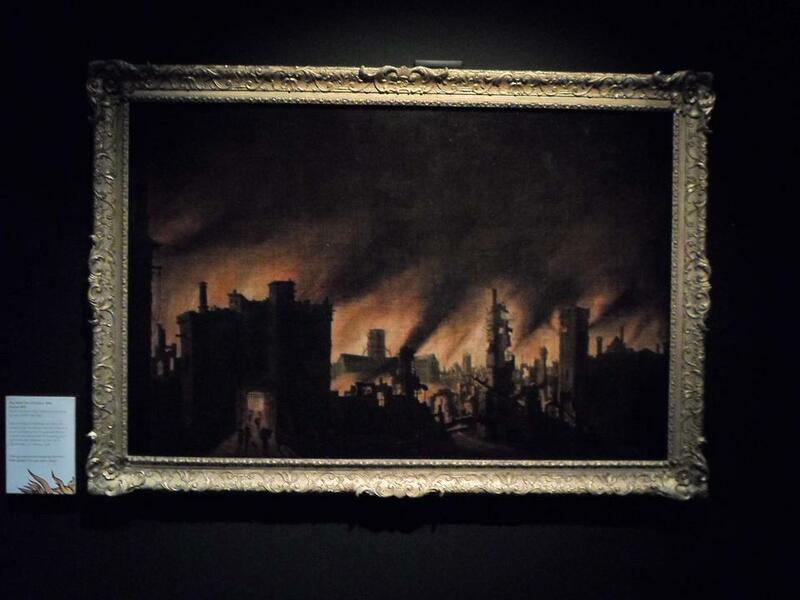 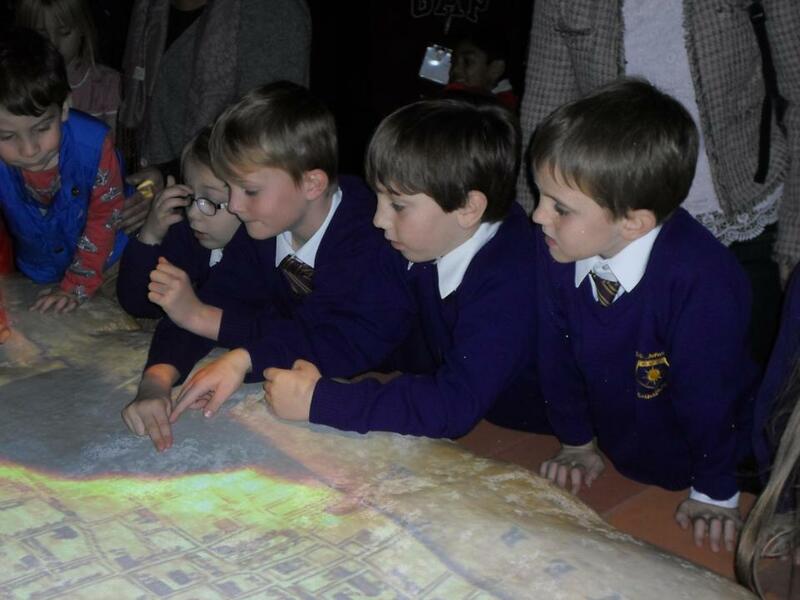 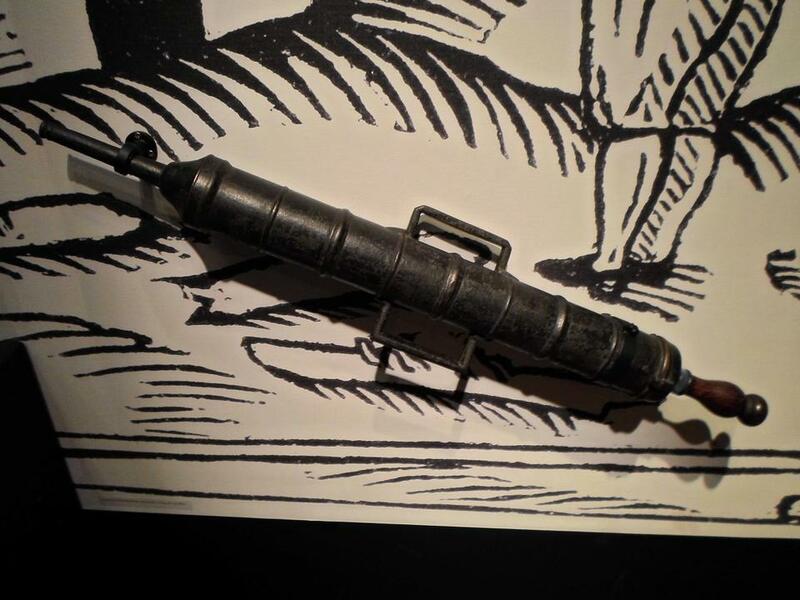 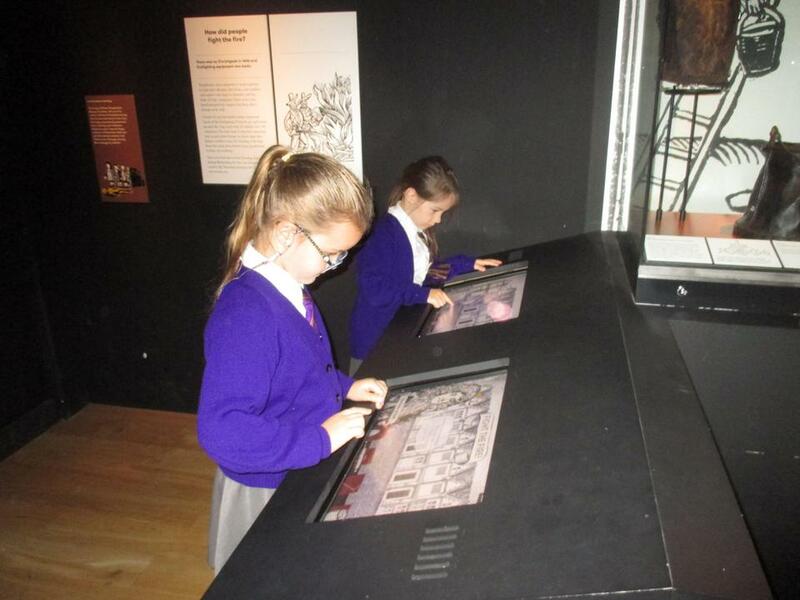 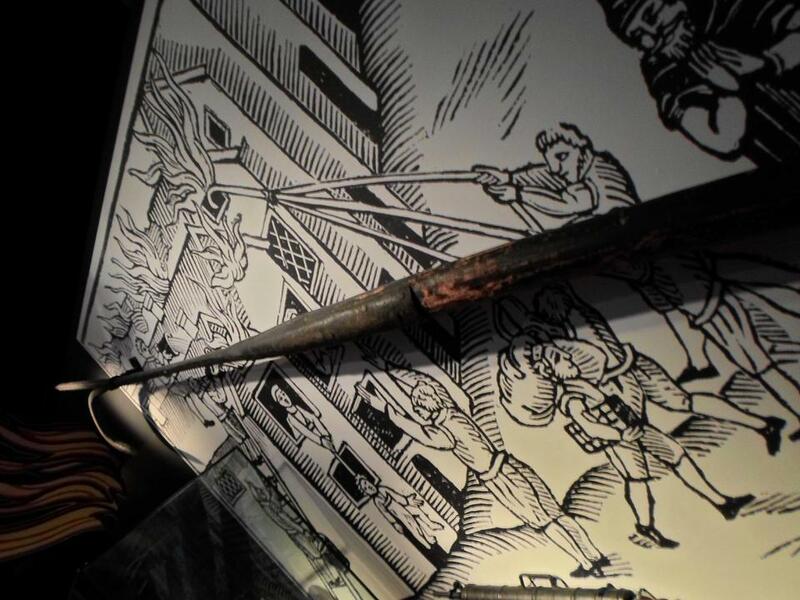 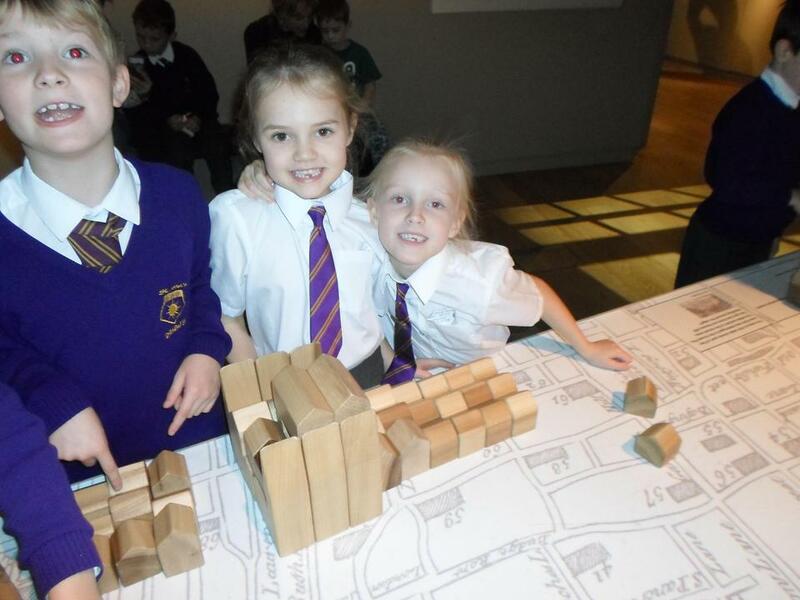 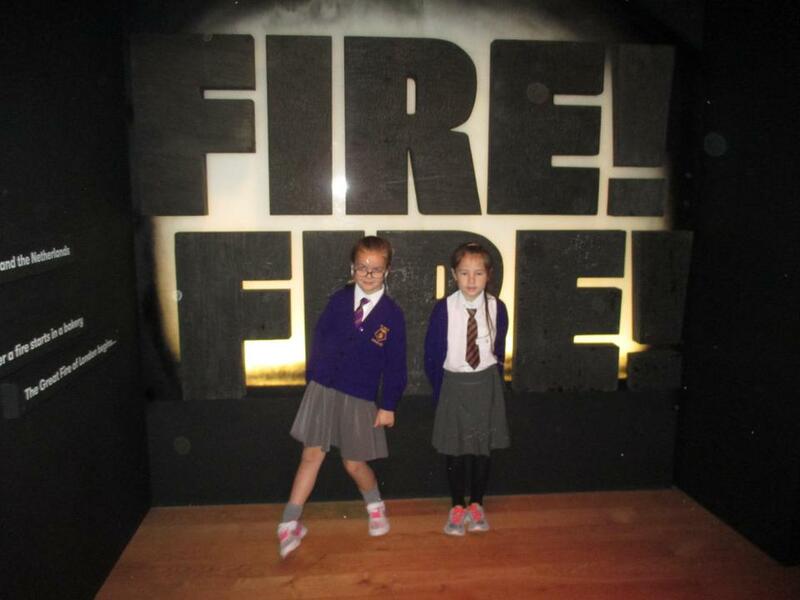 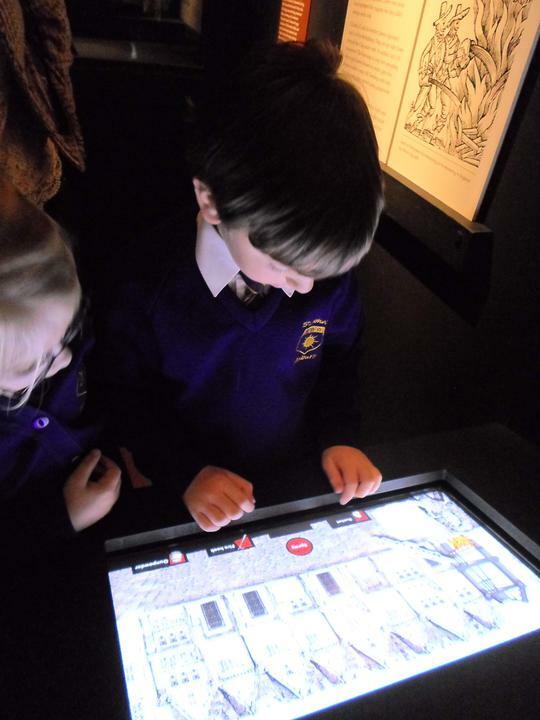 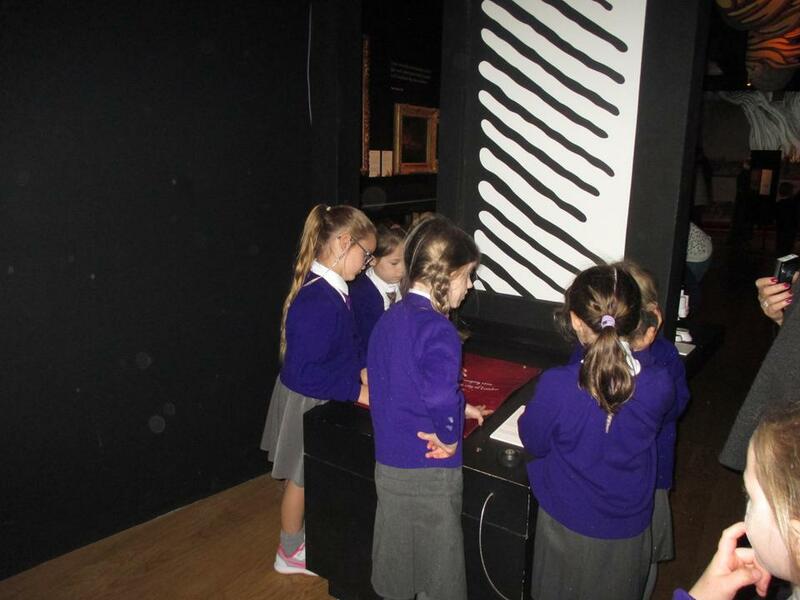 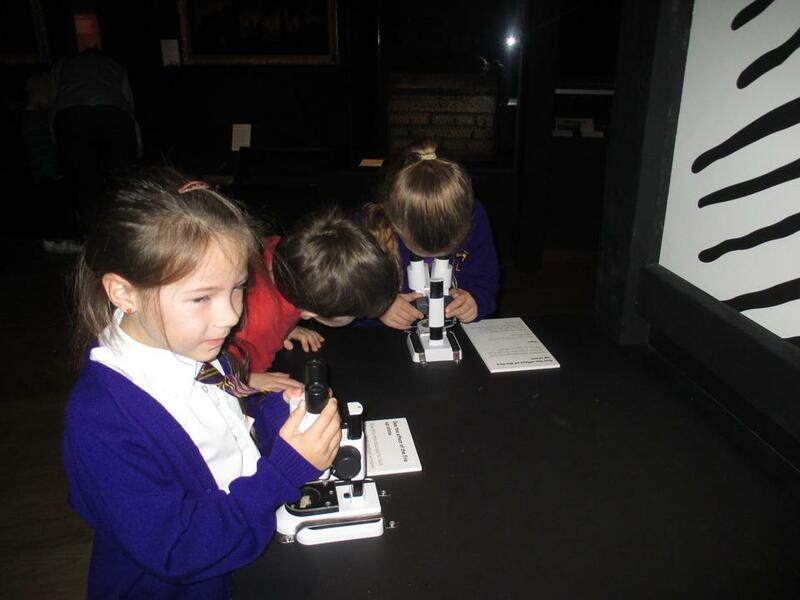 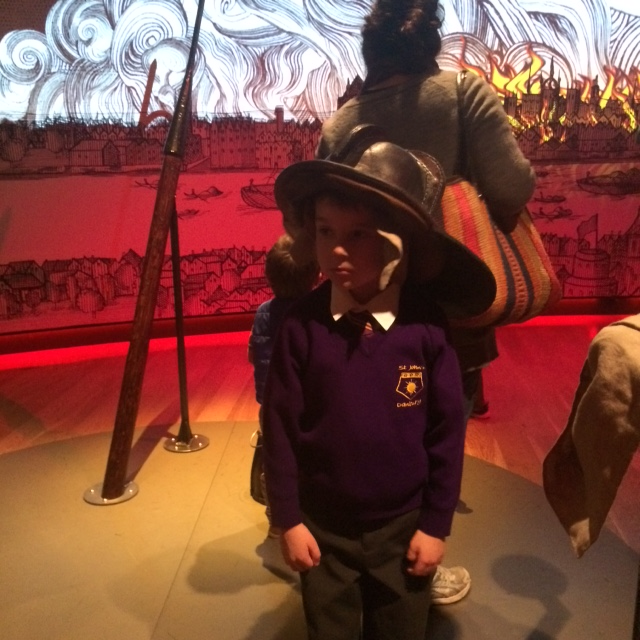 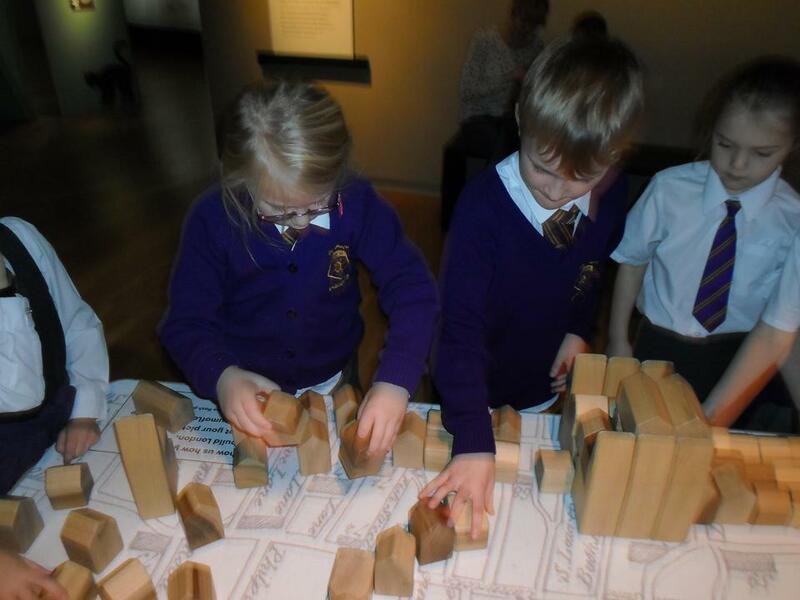 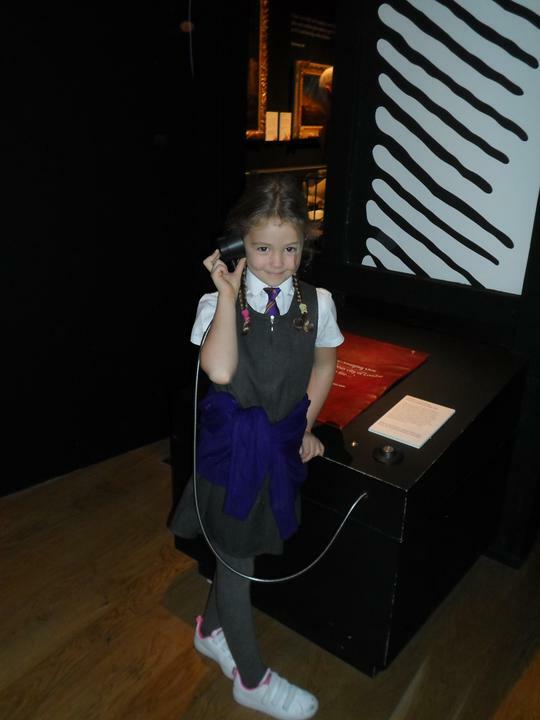 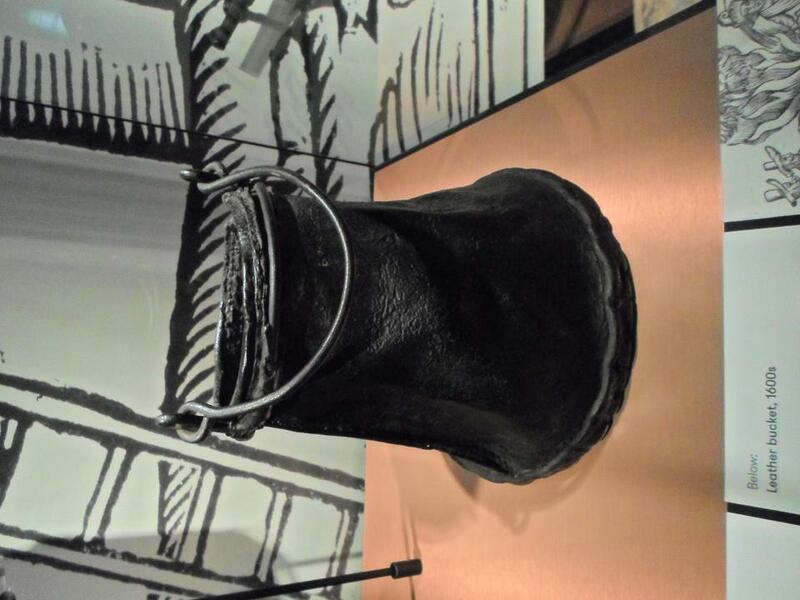 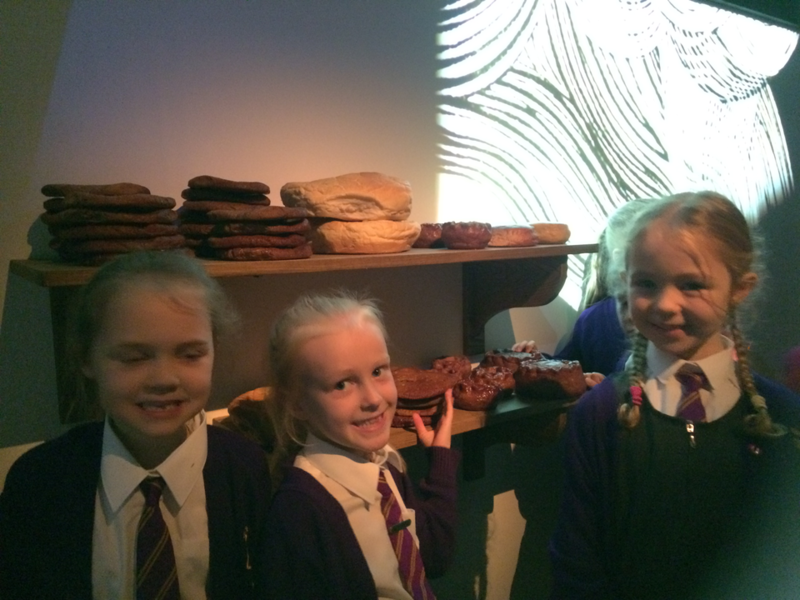 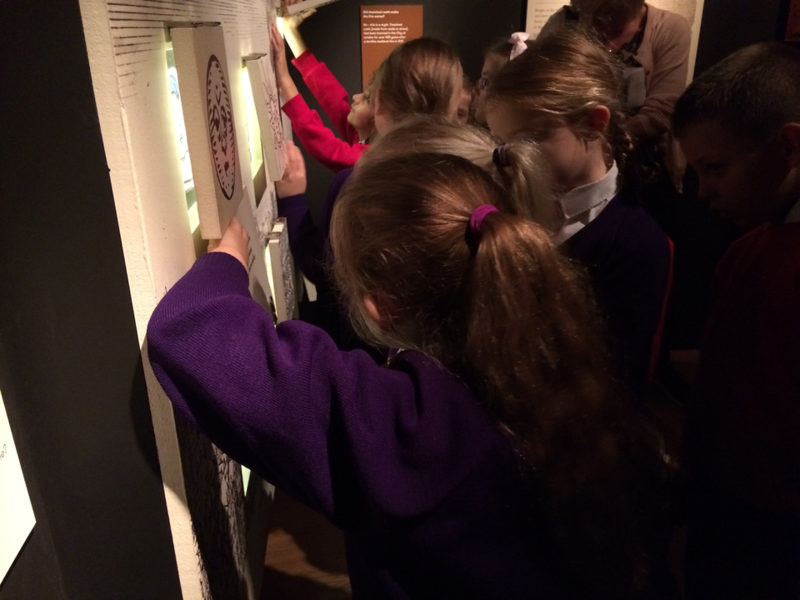 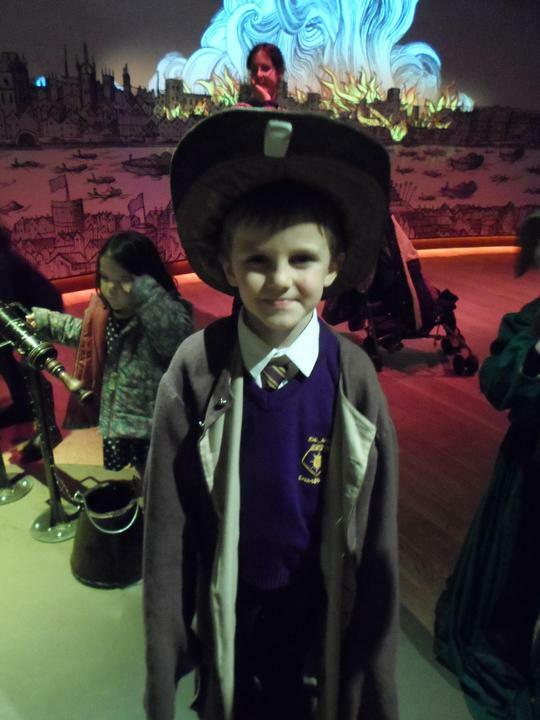 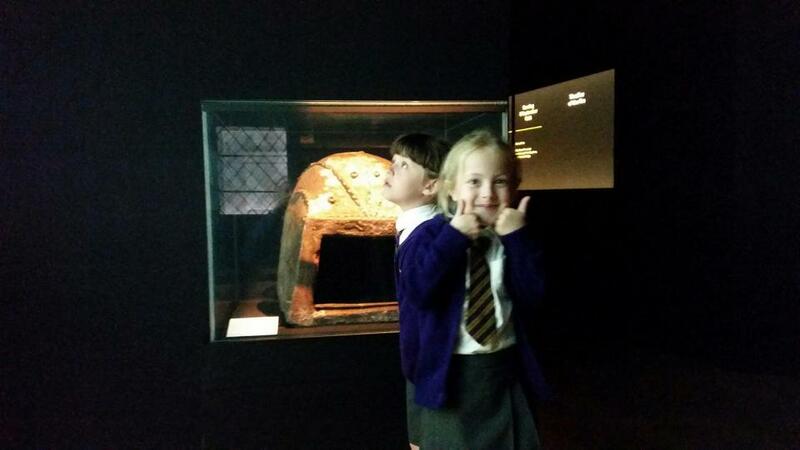 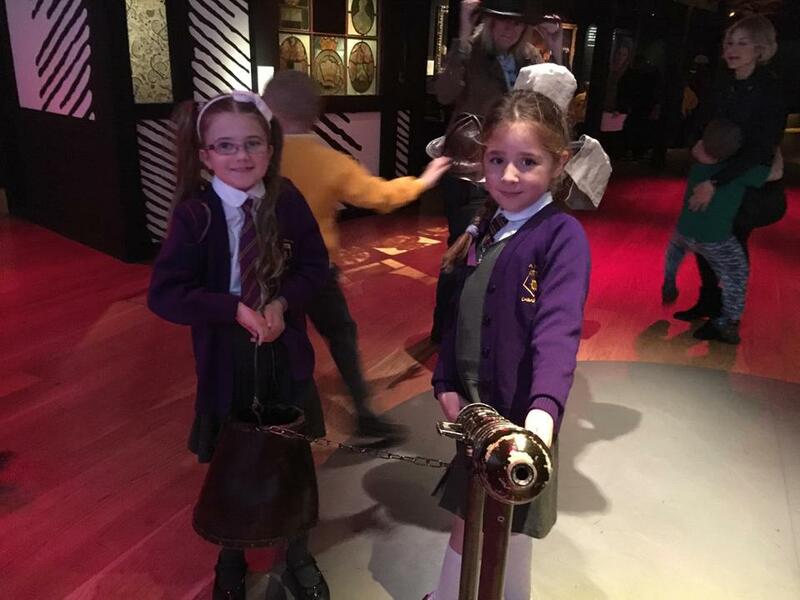 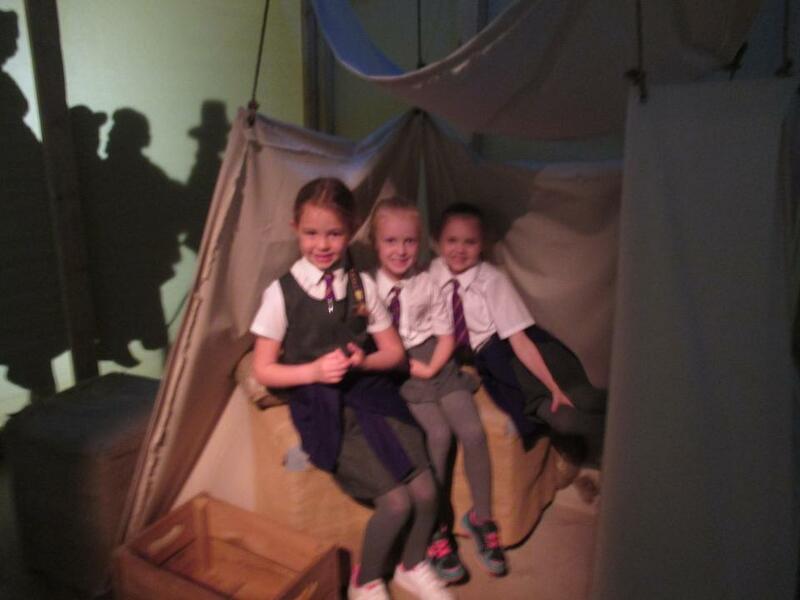 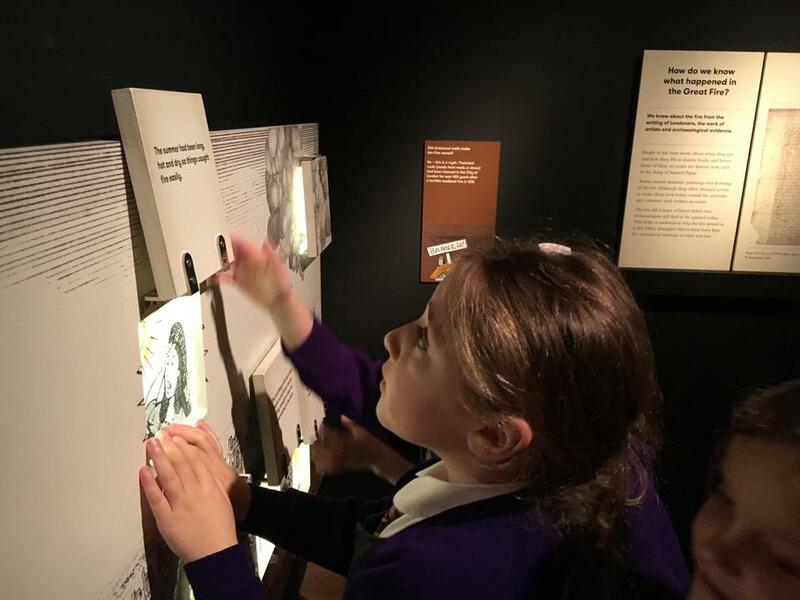 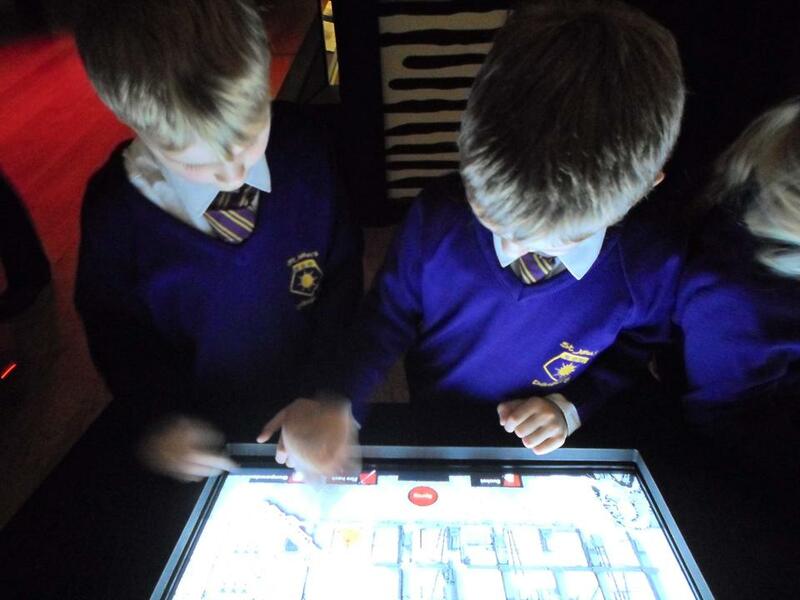 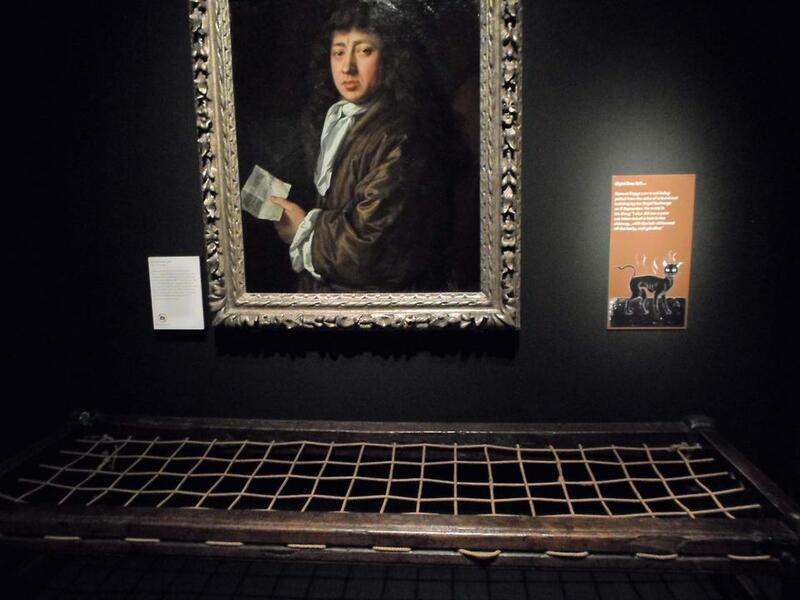 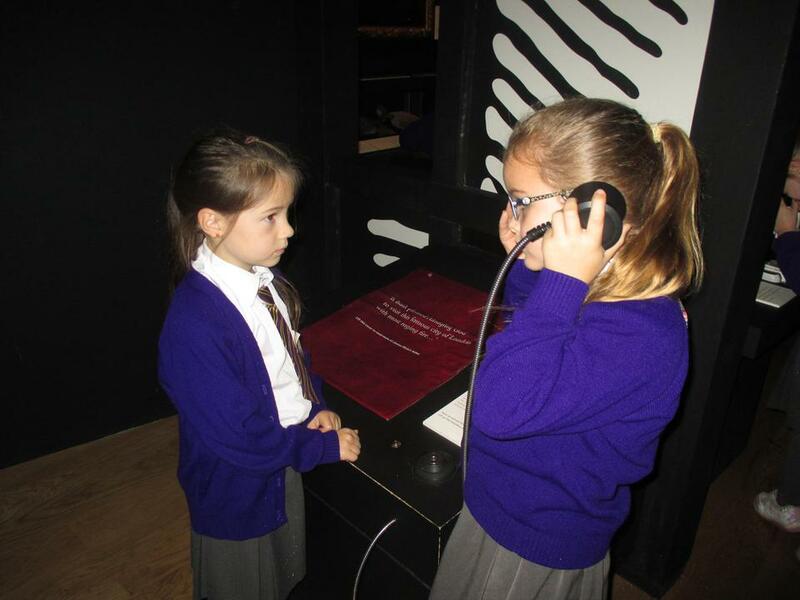 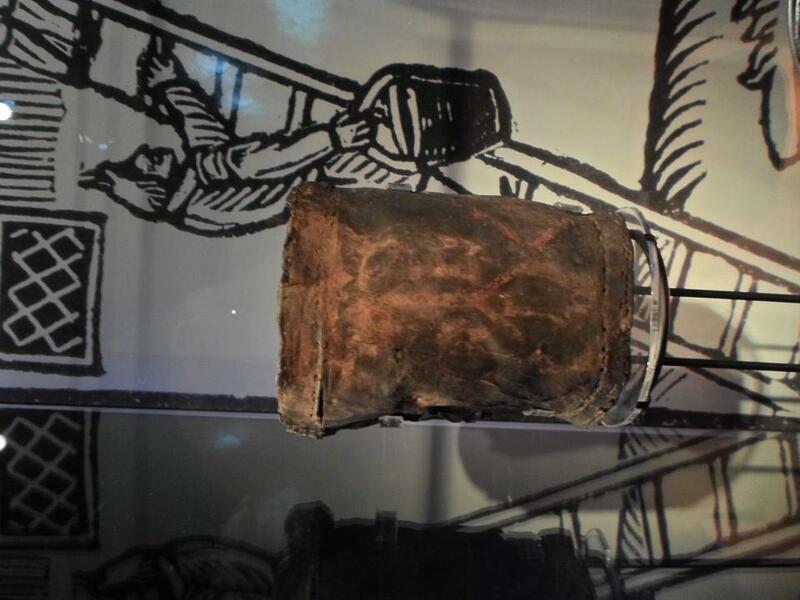 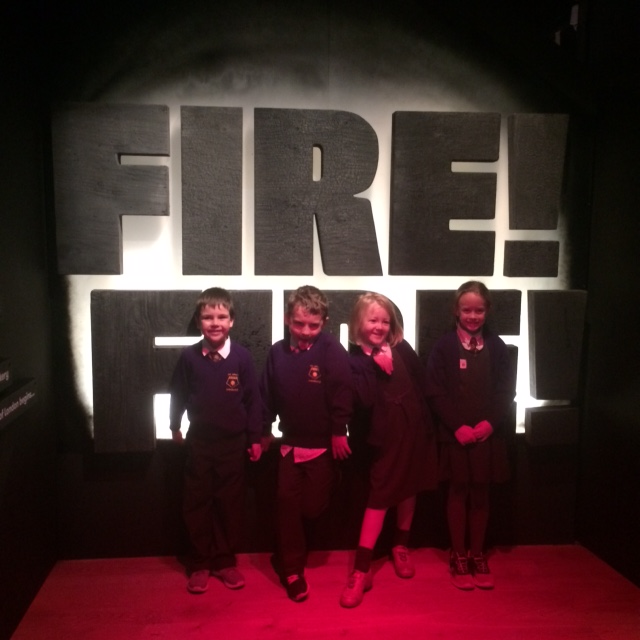 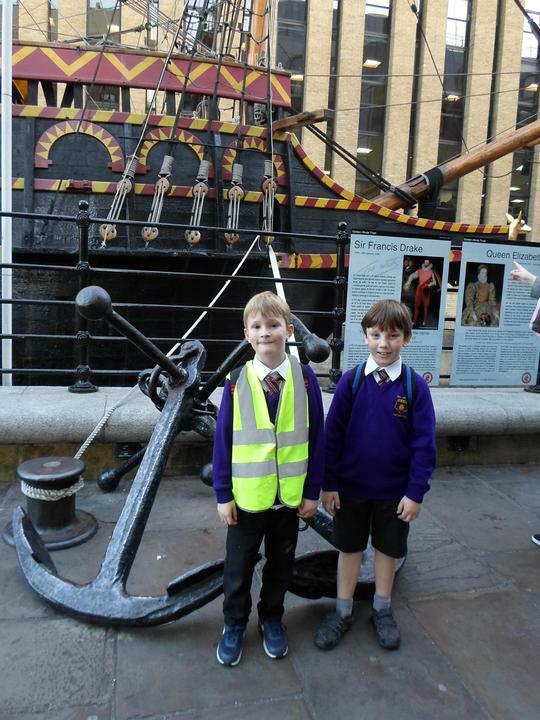 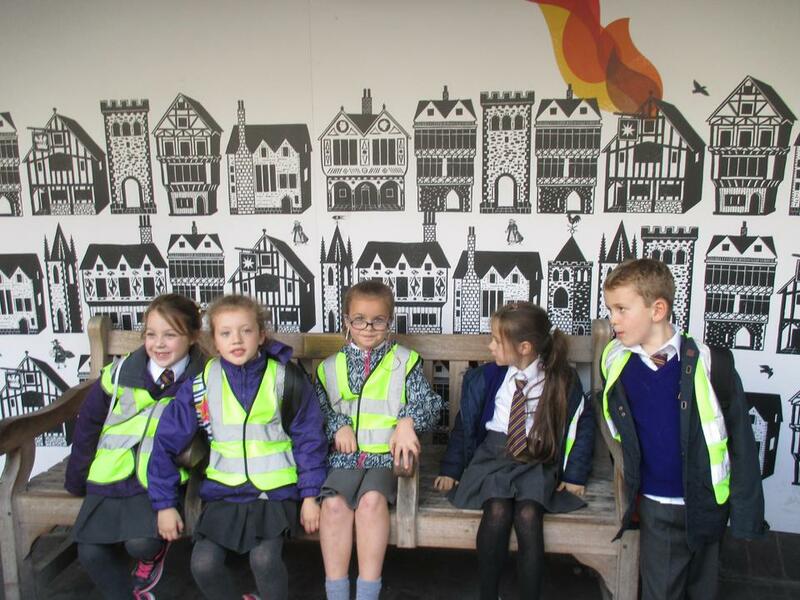 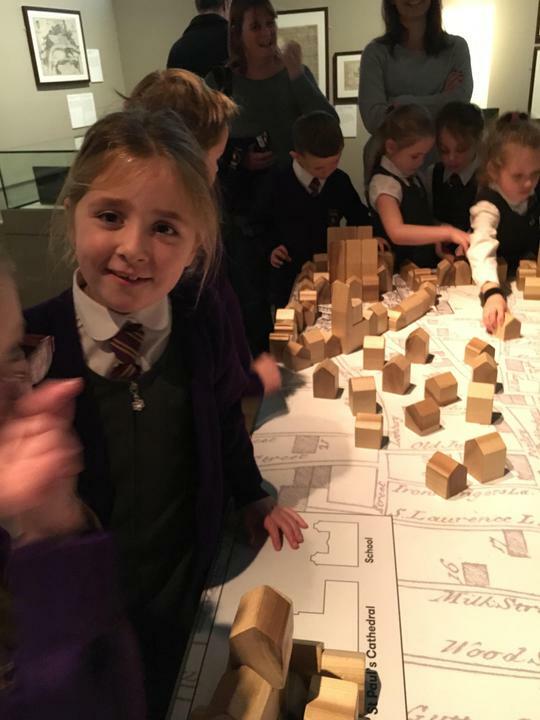 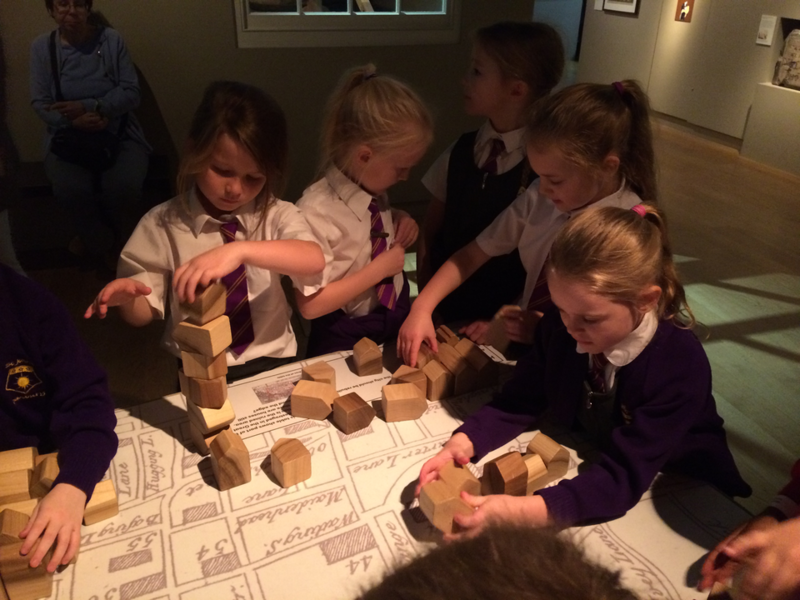 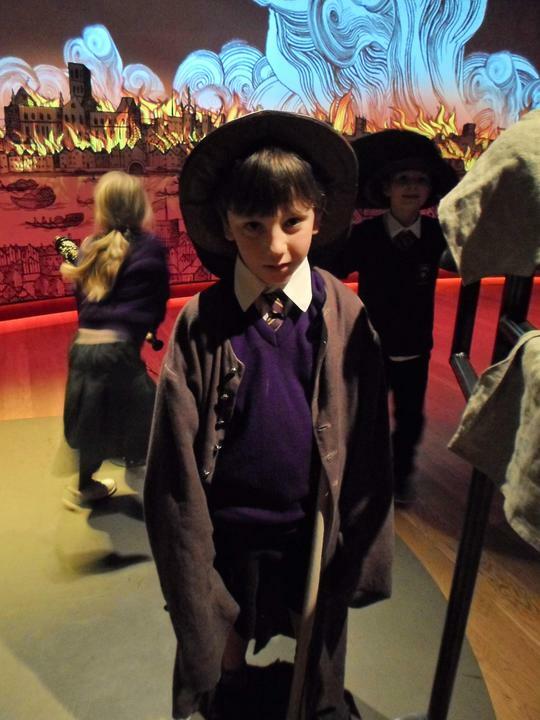 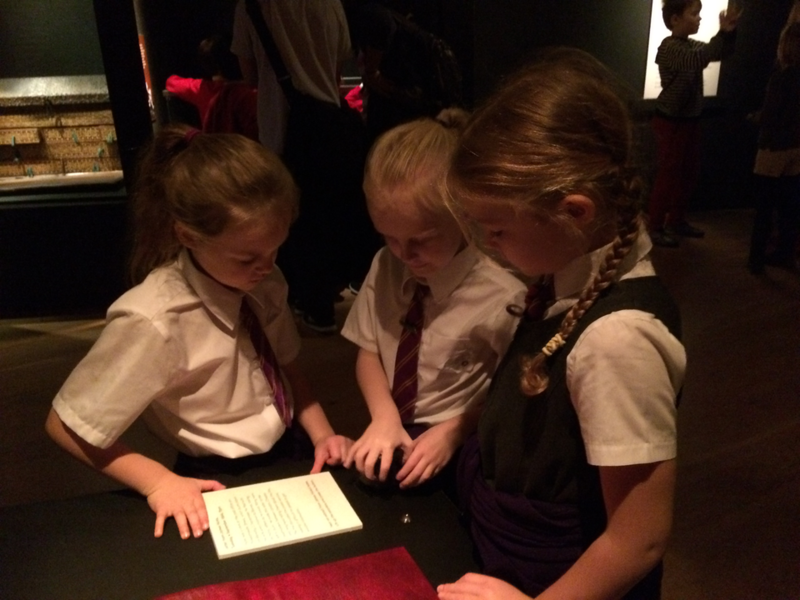 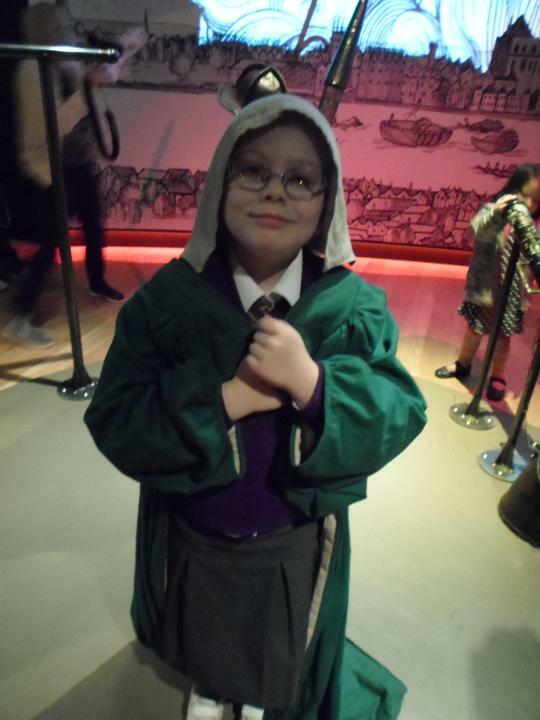 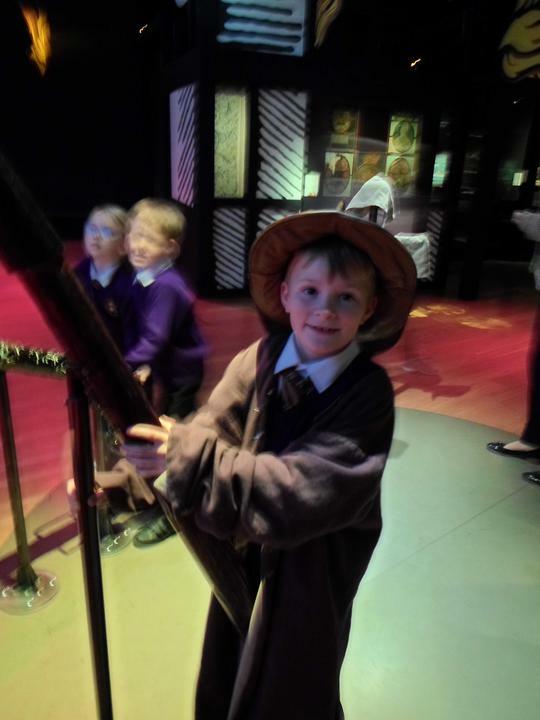 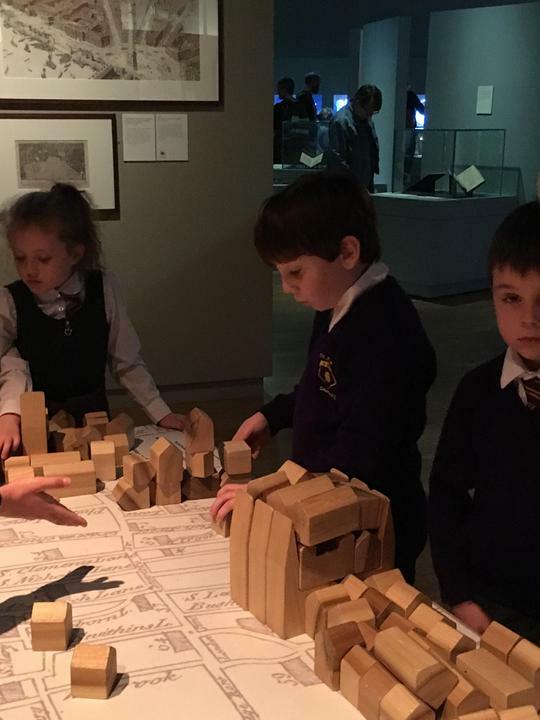 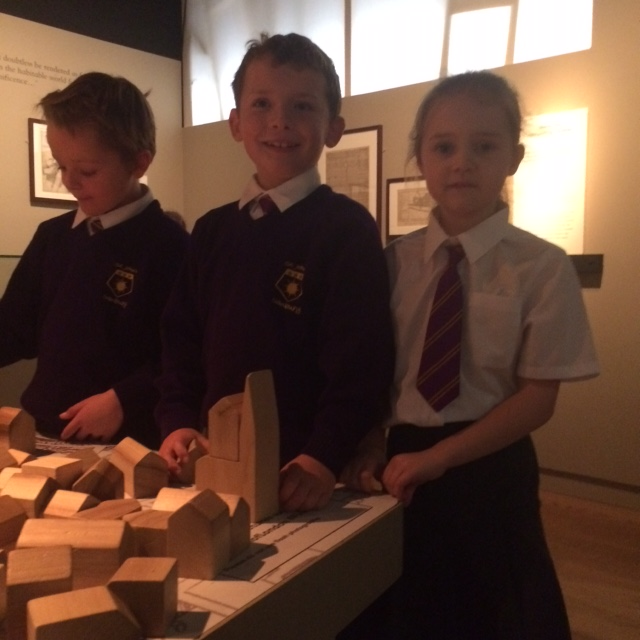 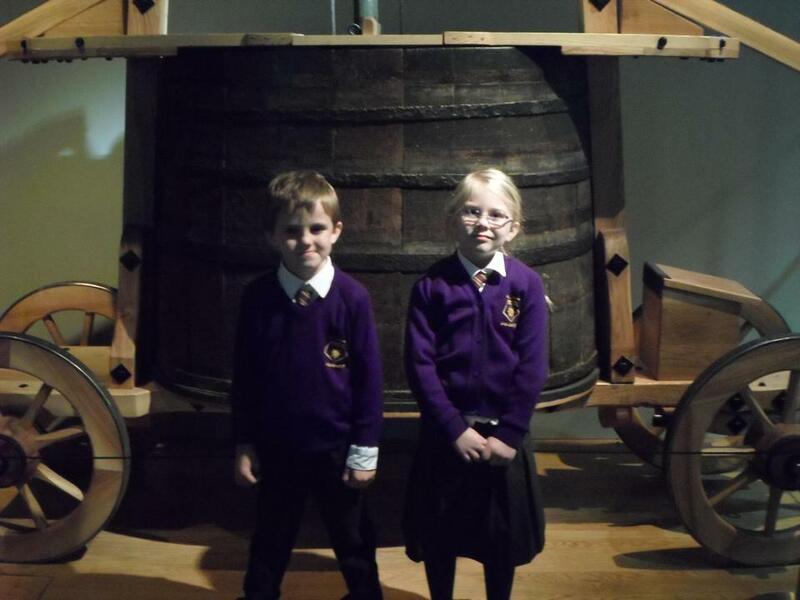 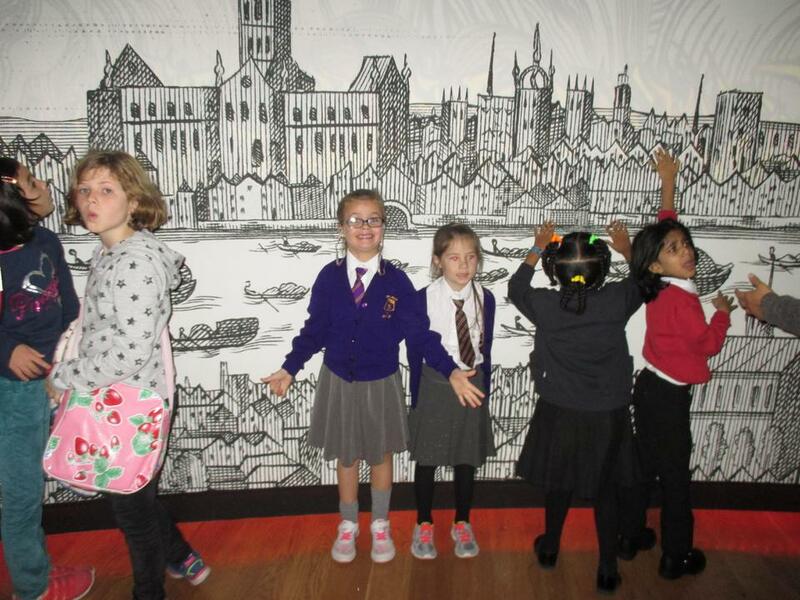 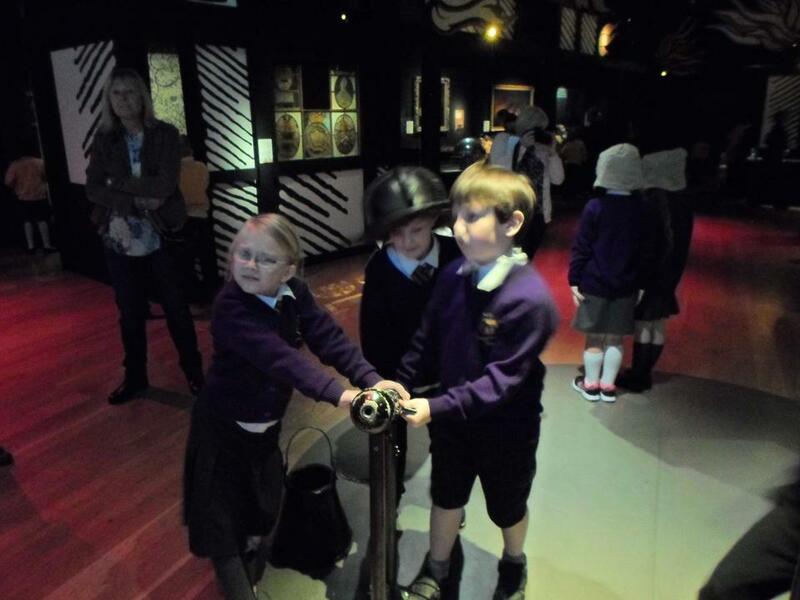 We visited the Museum of London to see the Fire Fire! 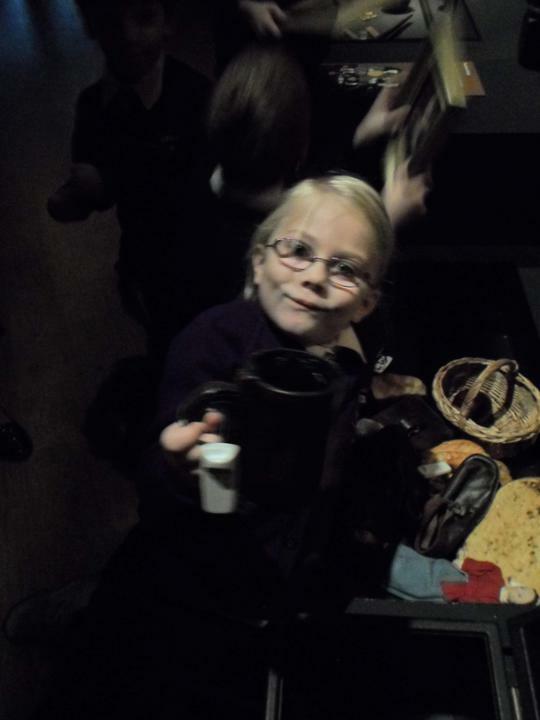 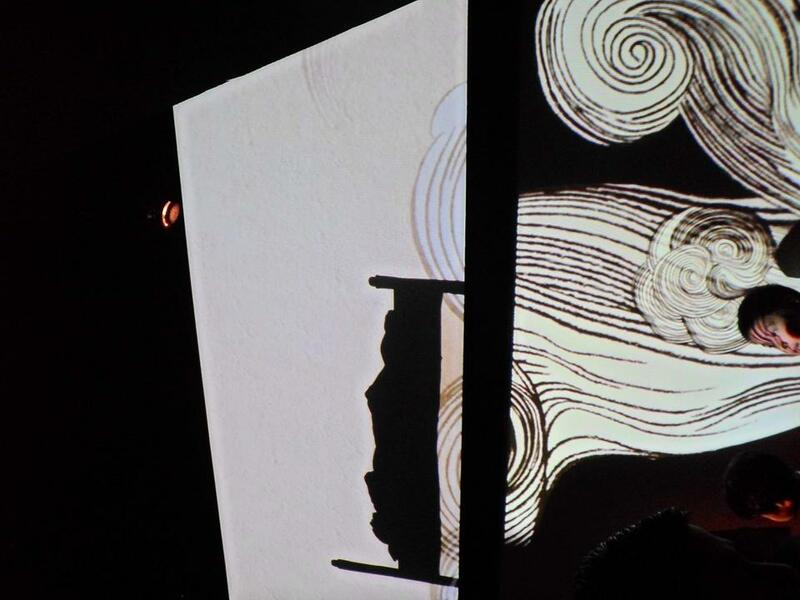 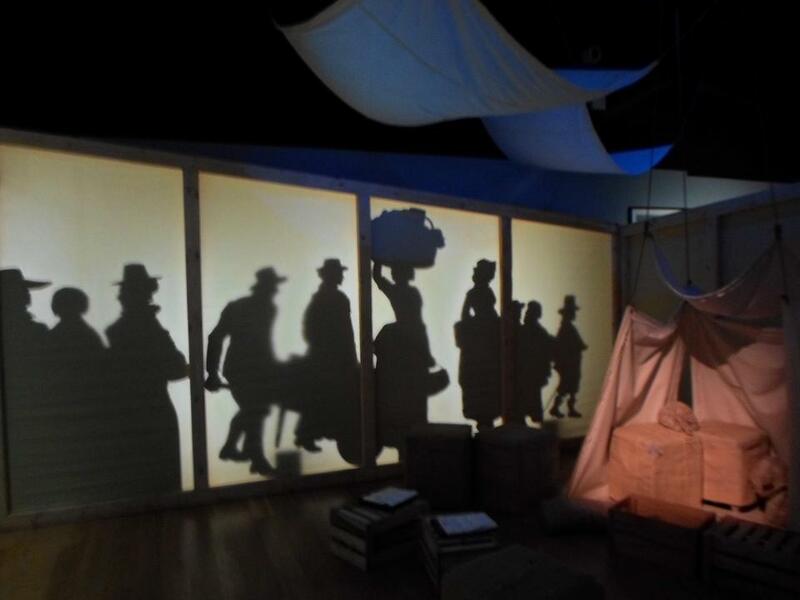 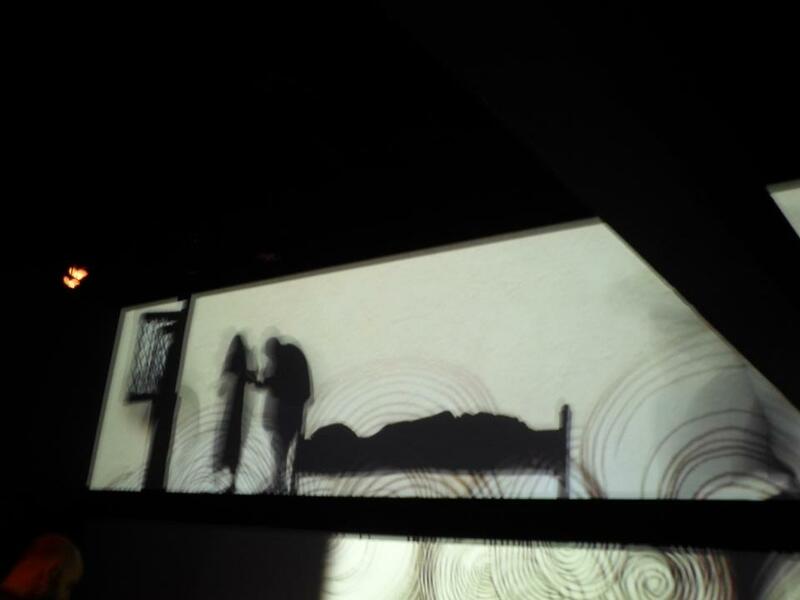 exhibtion. 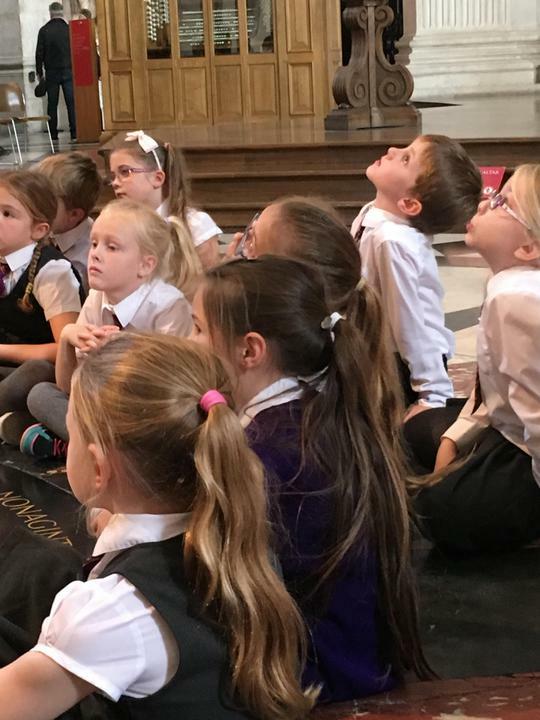 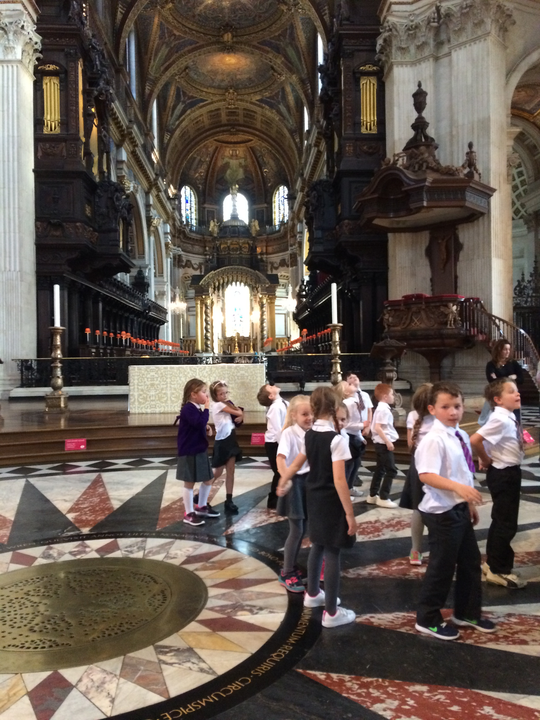 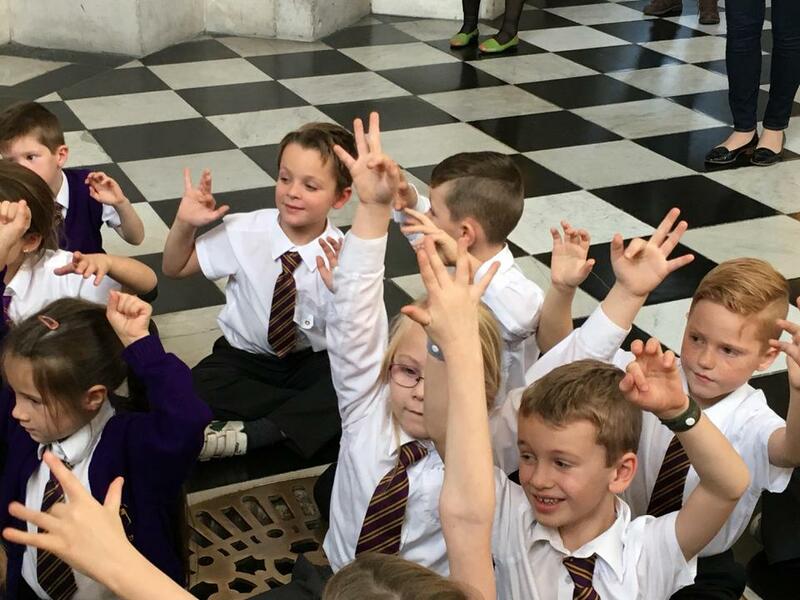 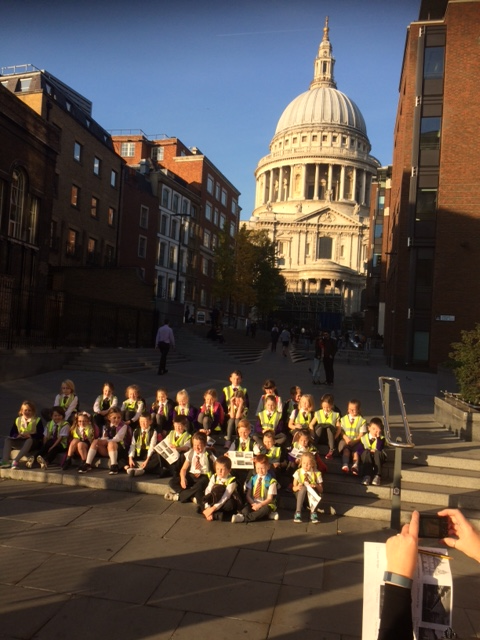 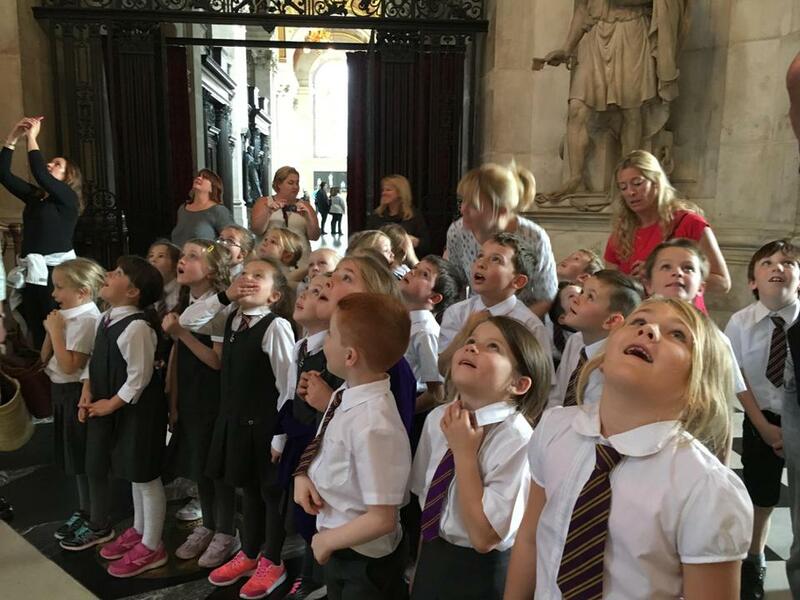 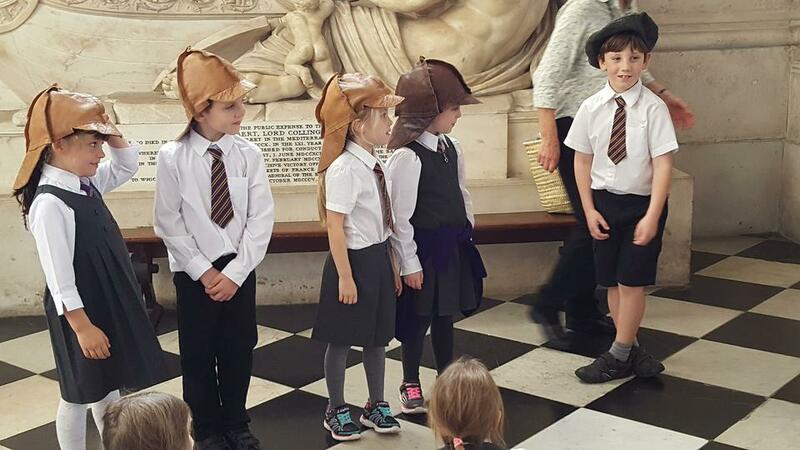 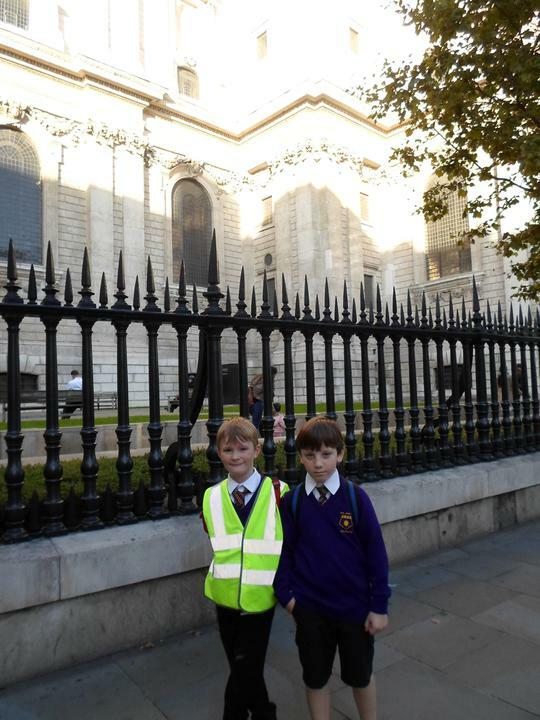 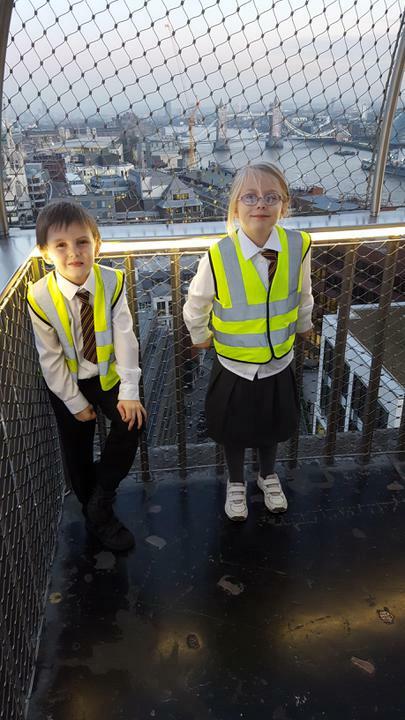 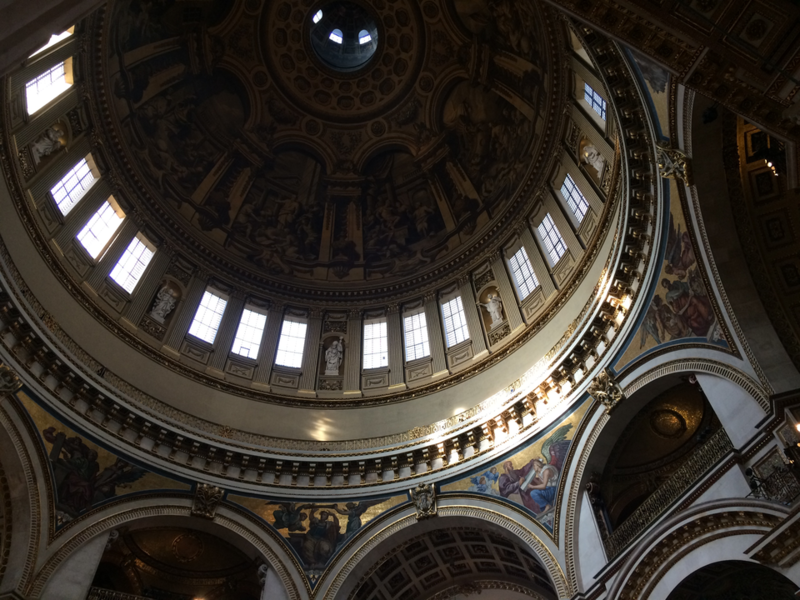 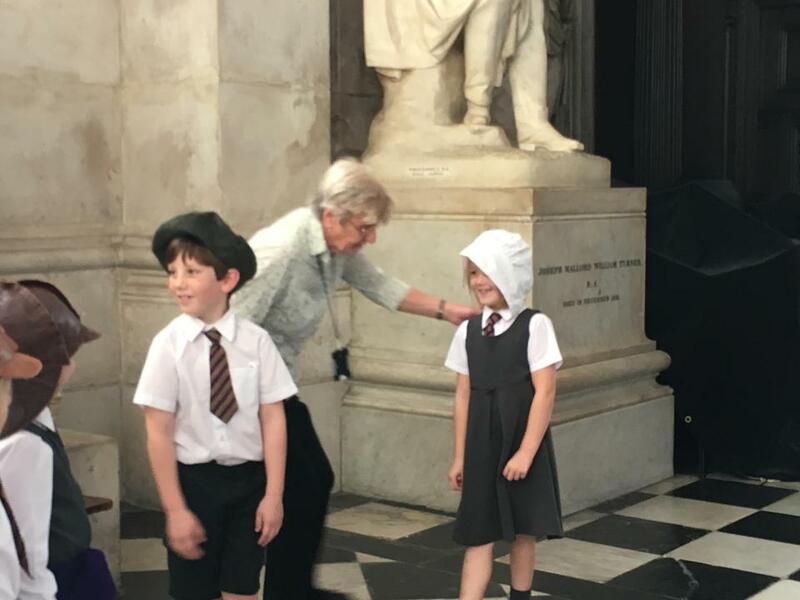 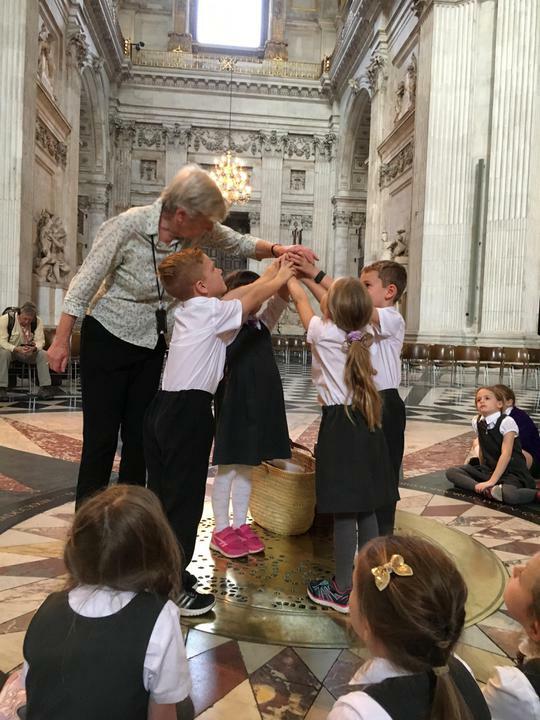 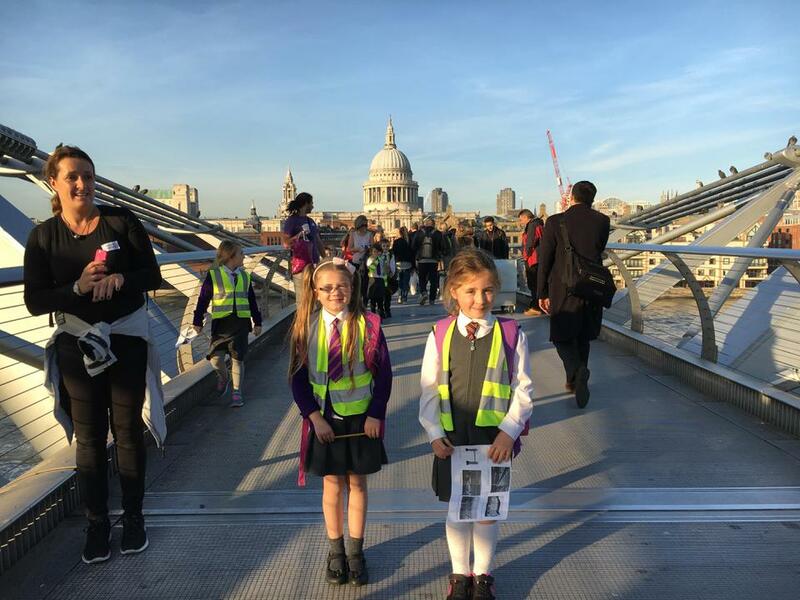 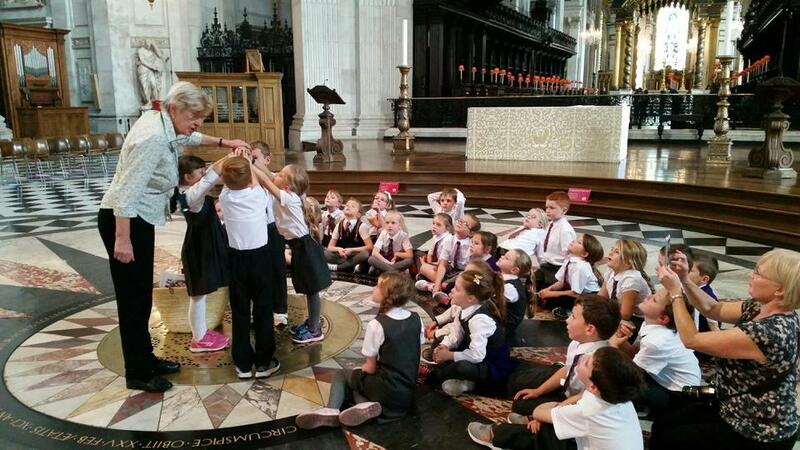 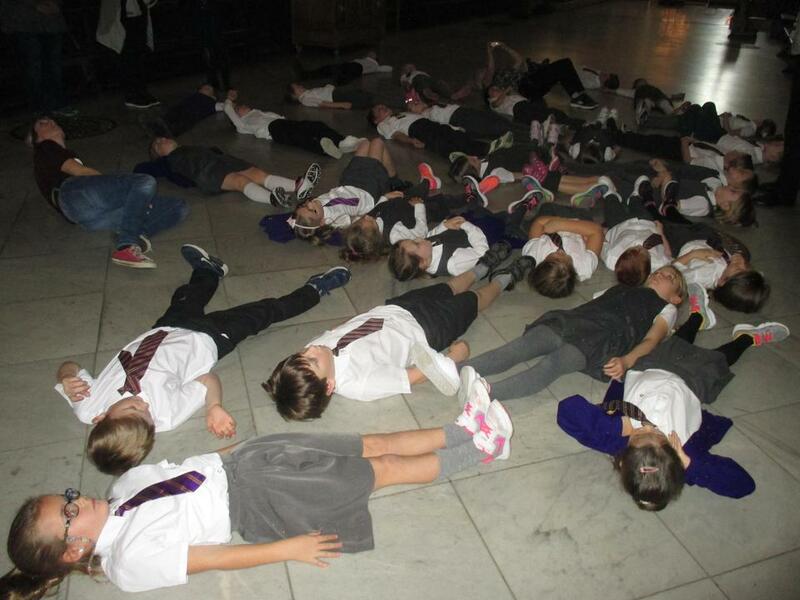 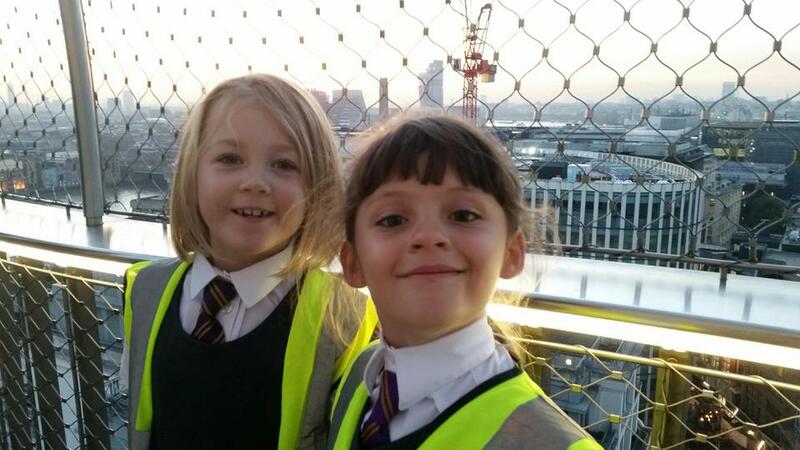 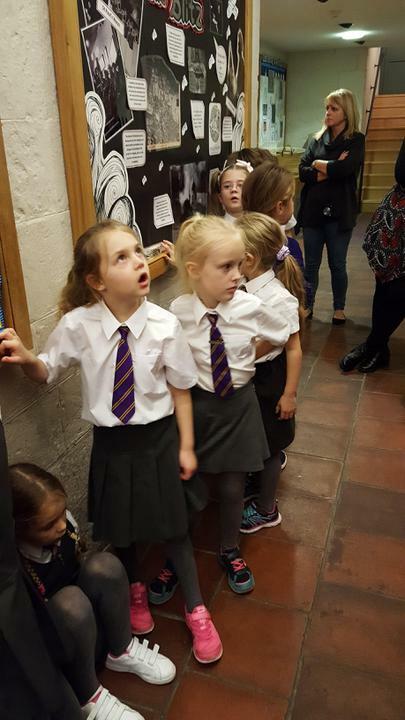 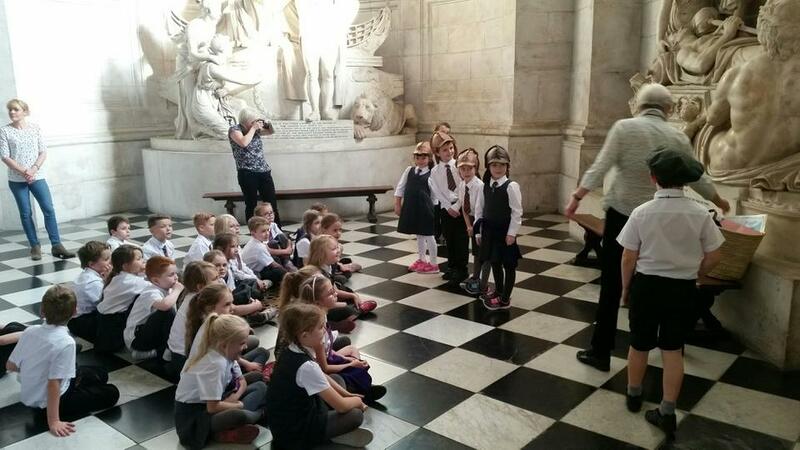 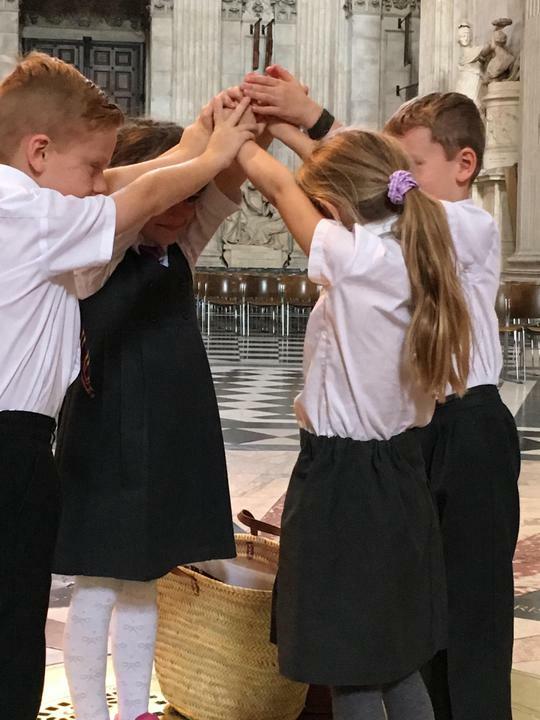 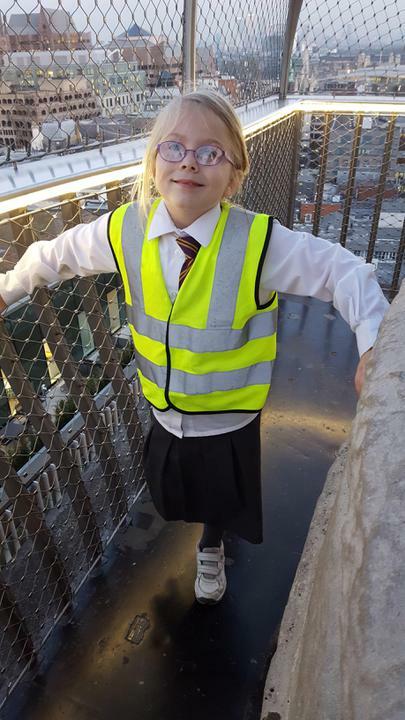 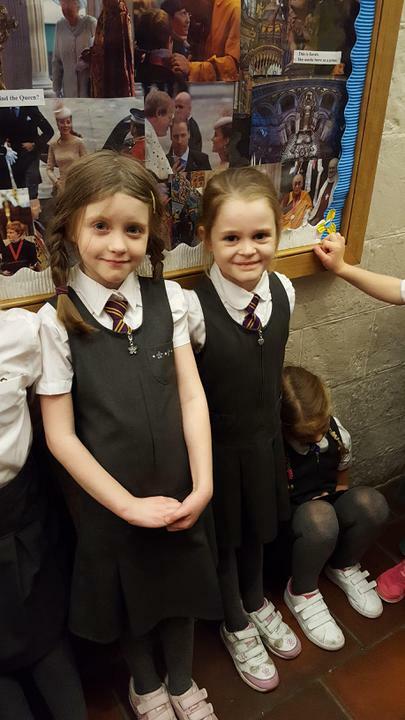 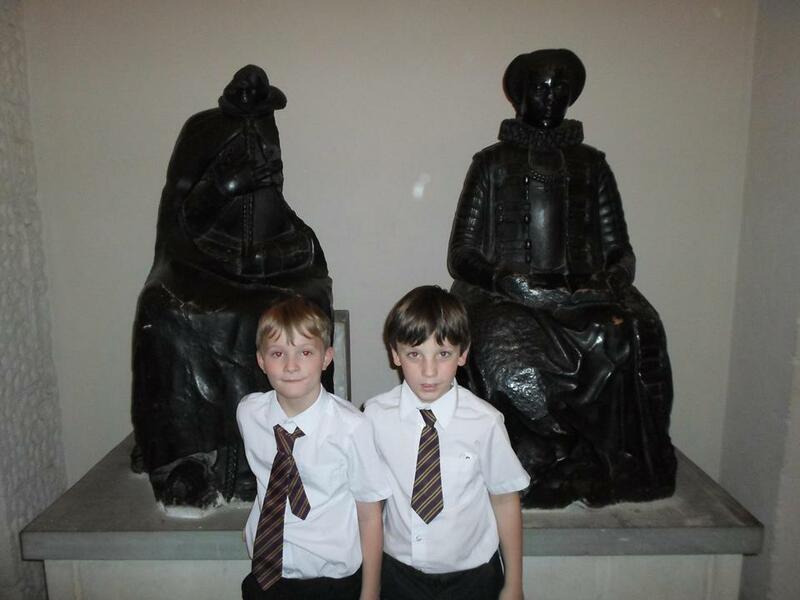 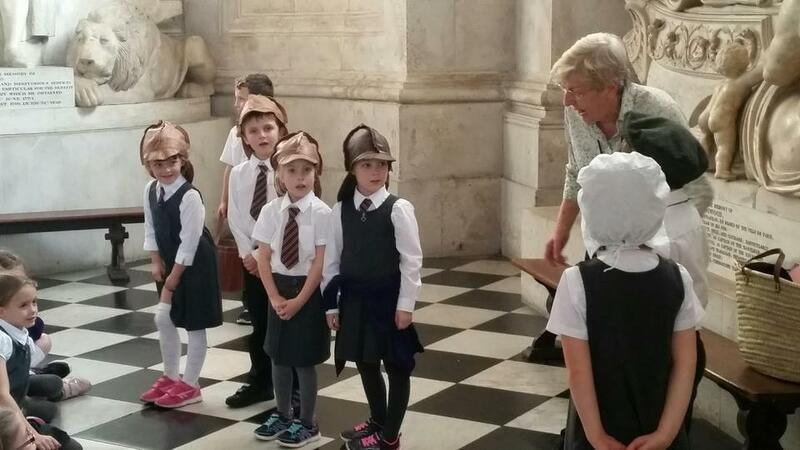 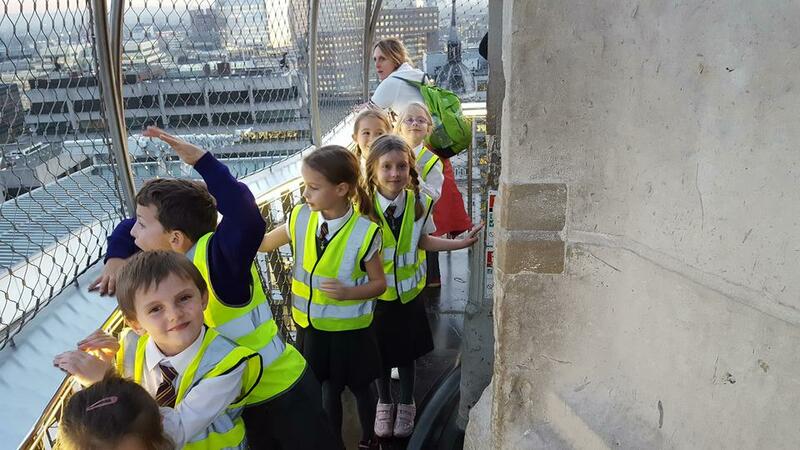 Next we walked to St Paul's Catherdral for a tour and climbed to the Whispering Gallery. 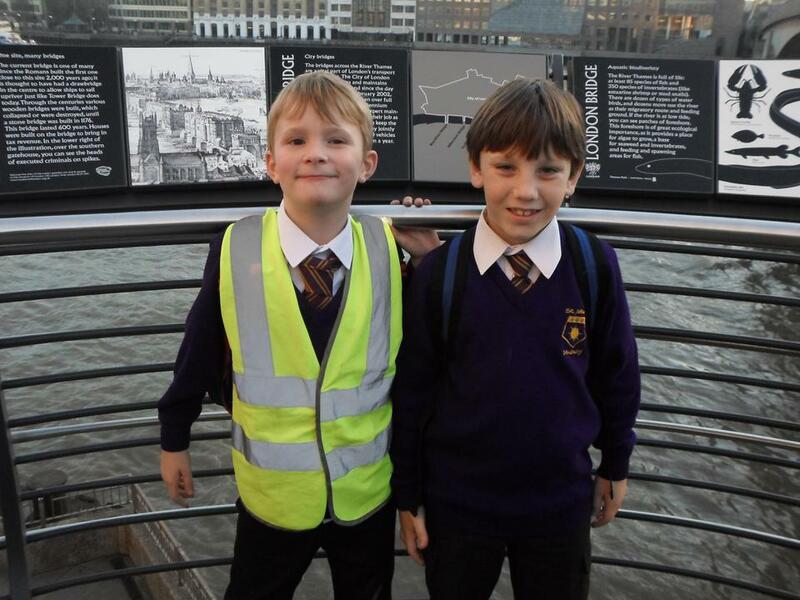 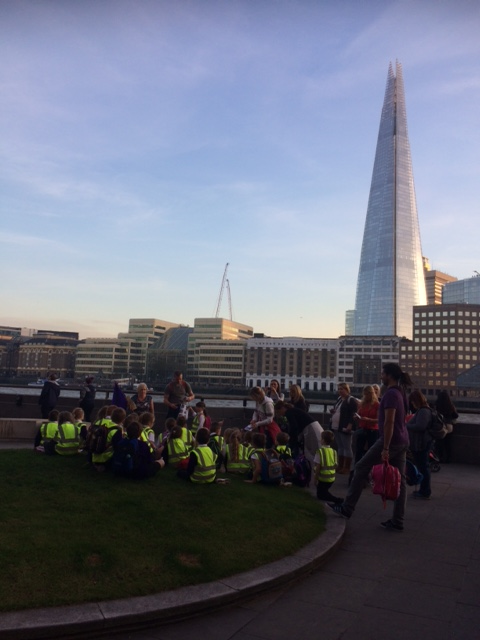 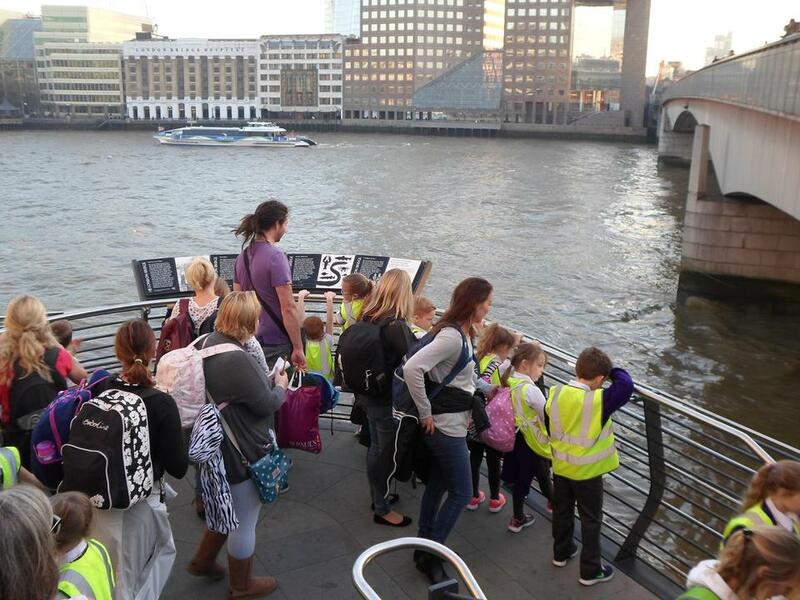 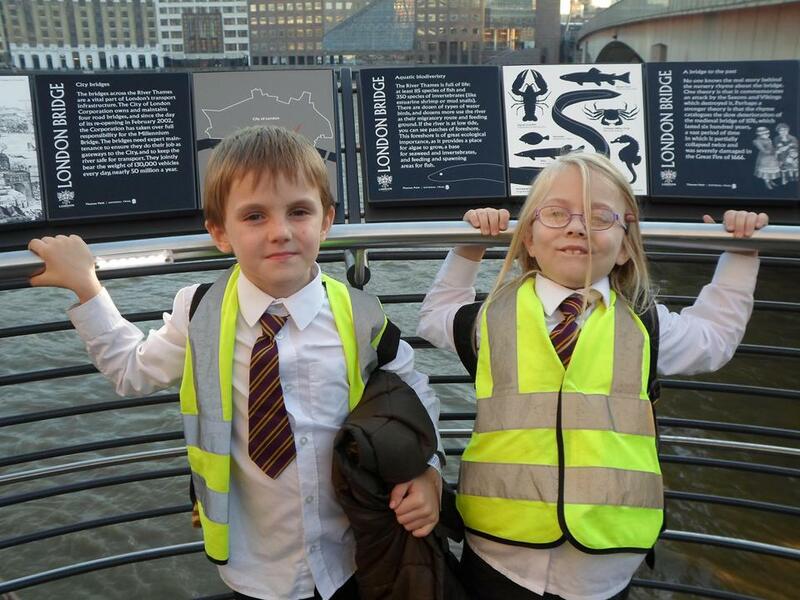 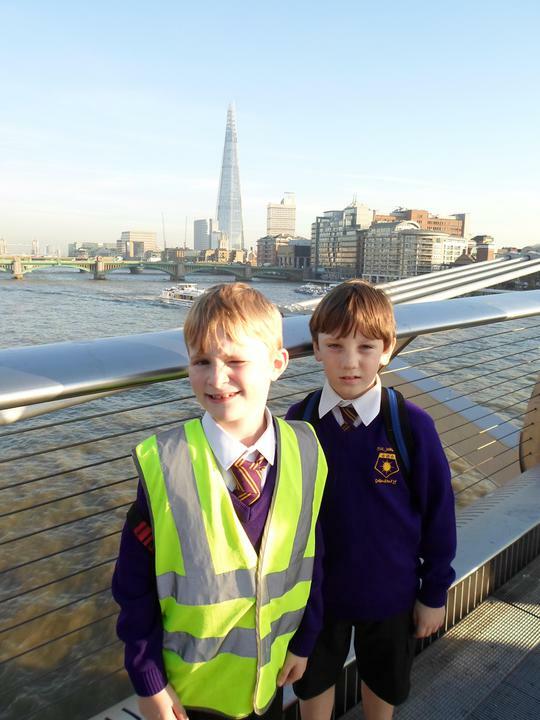 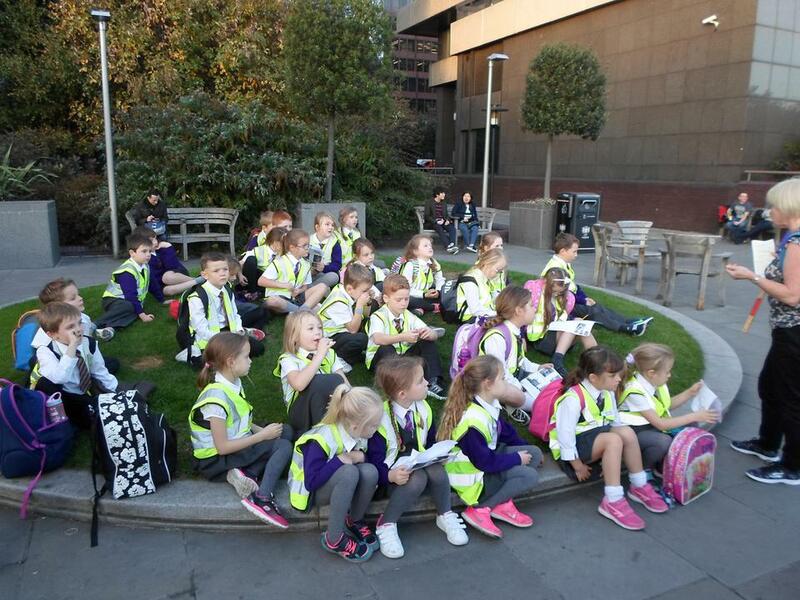 In the afternoon we walked across Millennium Bridge and through the South Bank to Pudding Lane and the Monument. 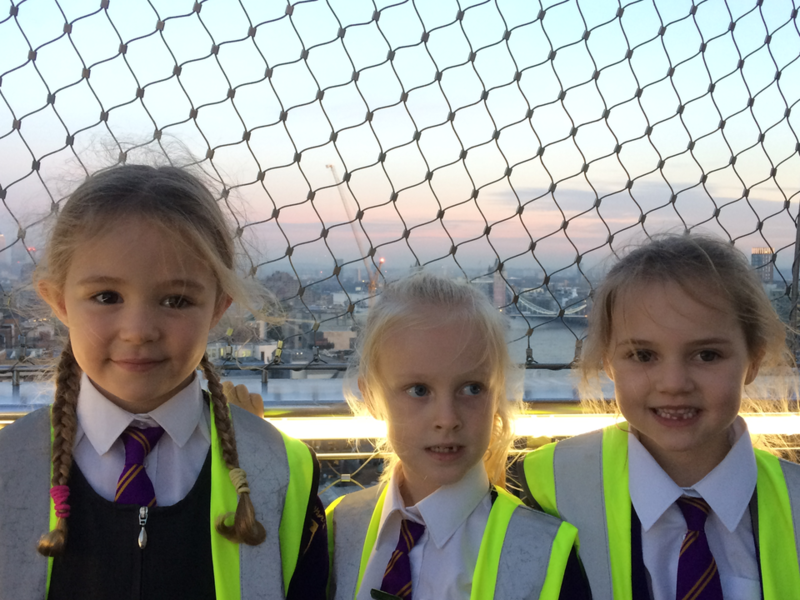 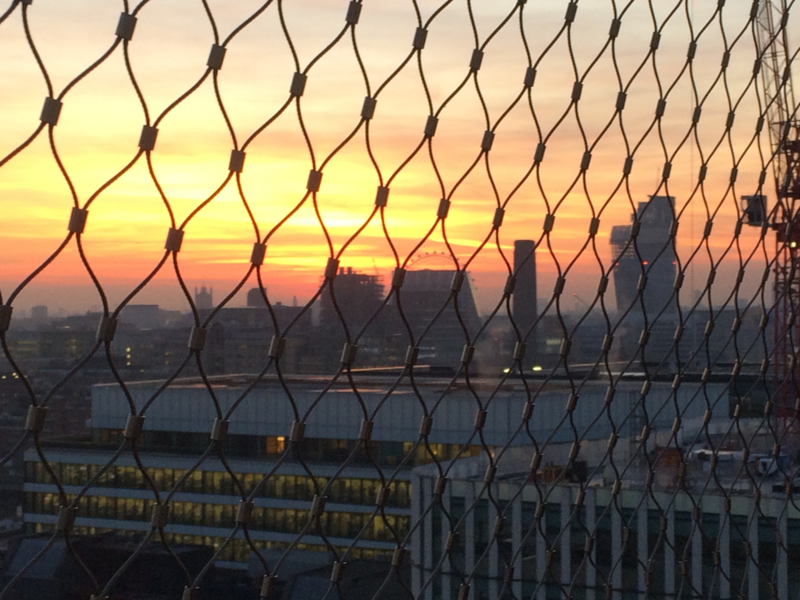 A highlight was climbing the Monument and seeing London at sunset. 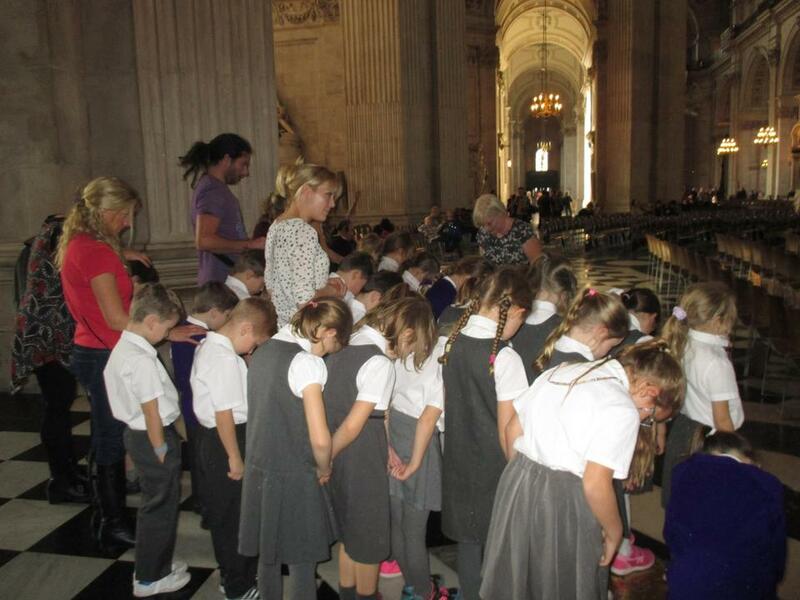 Butterflies - We looked after Painted Lady caterpillars and fed them special food. 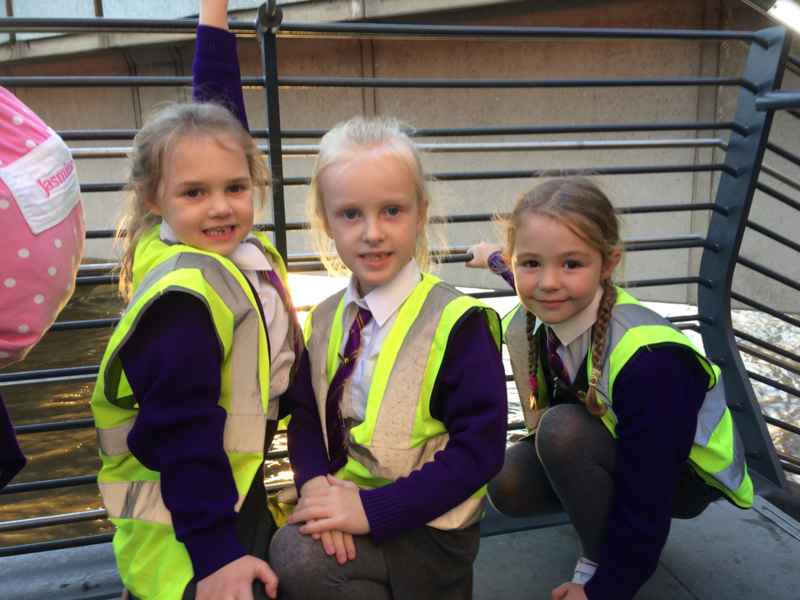 They grew very quickly and were soon beautiful butterflies. 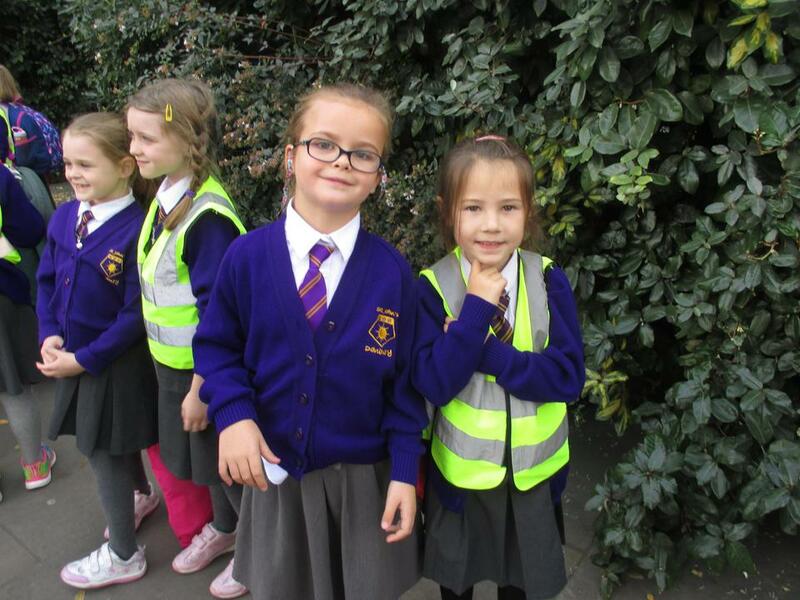 We released them on a warm day. 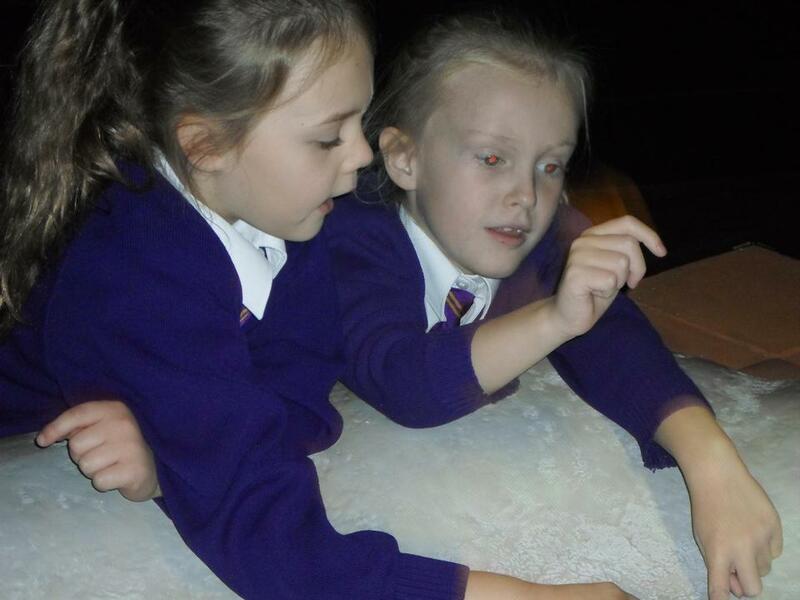 Most Painted Lady butterflies will migrate to Africa.